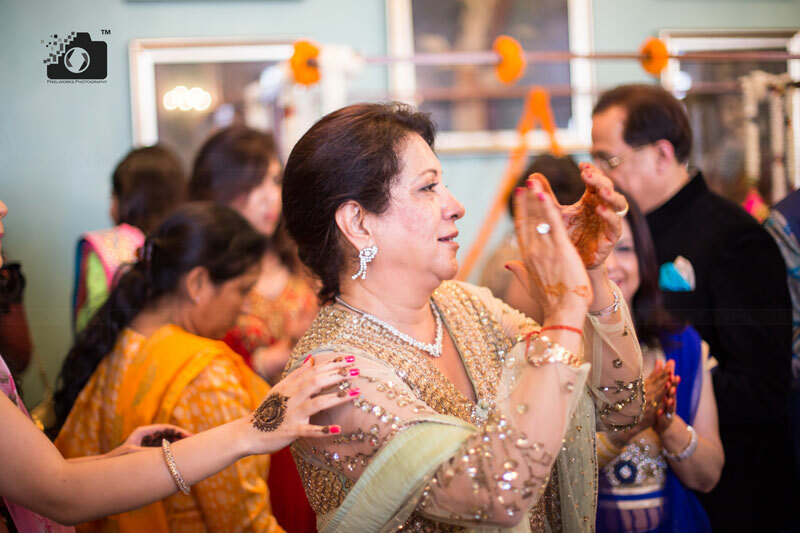 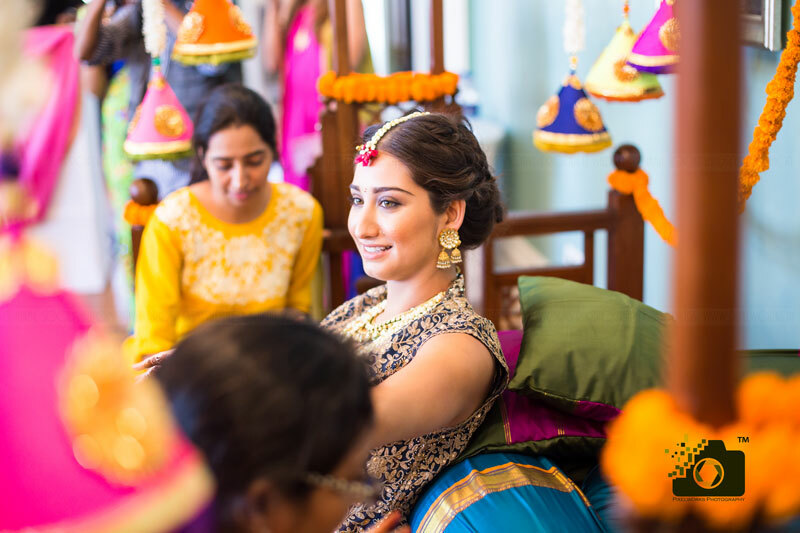 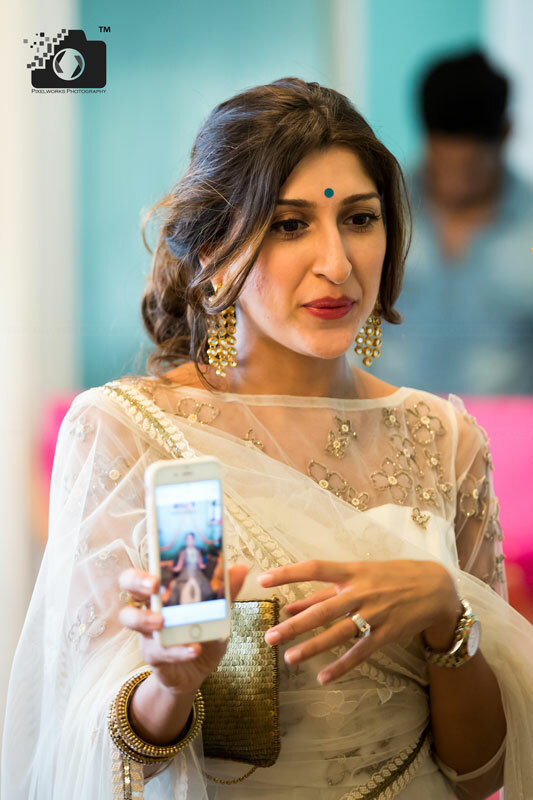 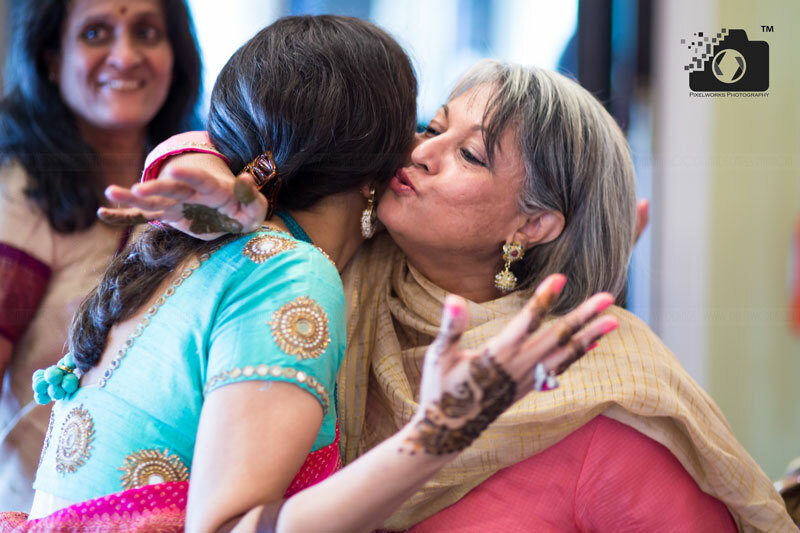 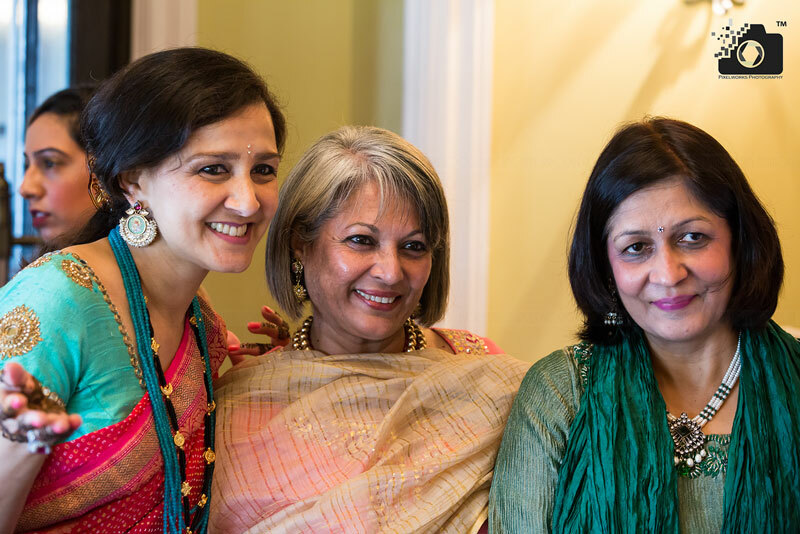 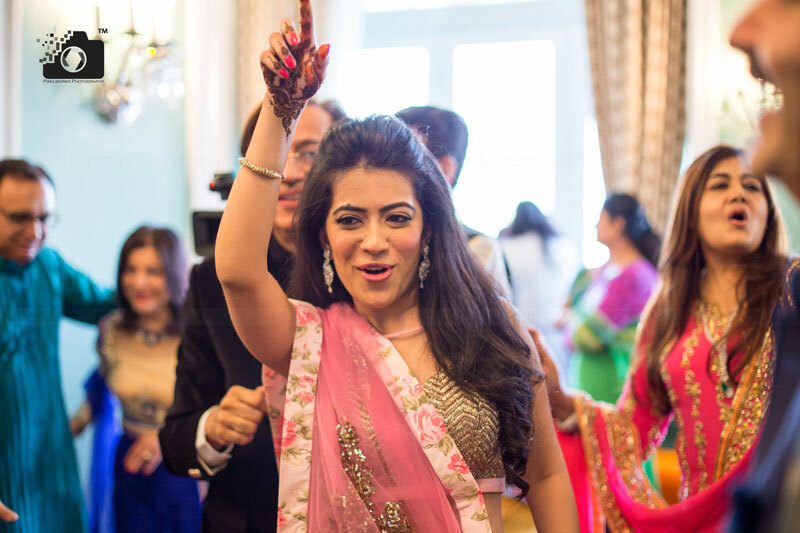 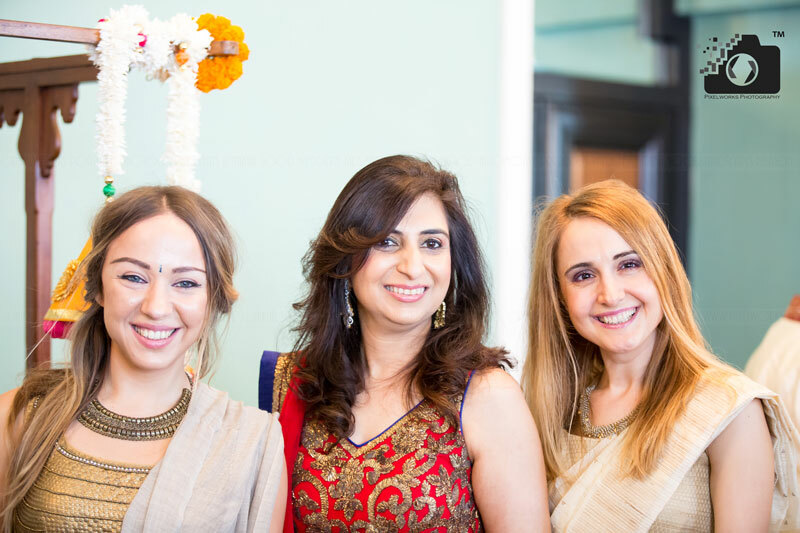 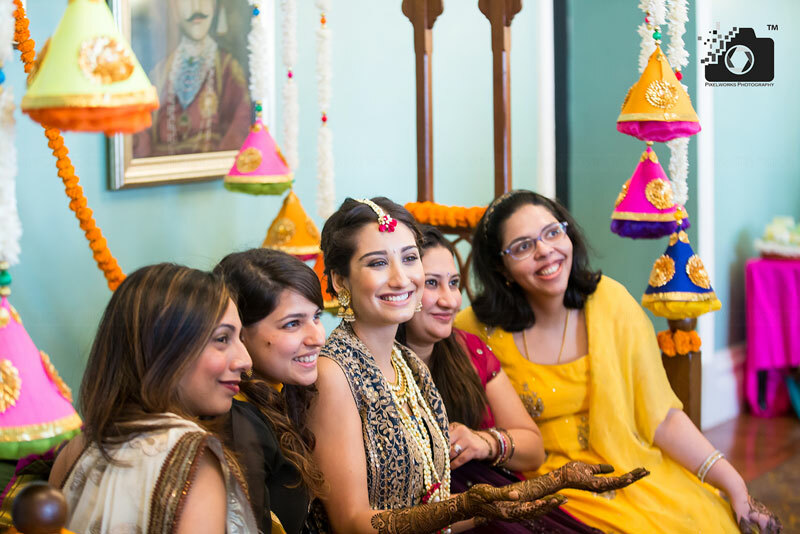 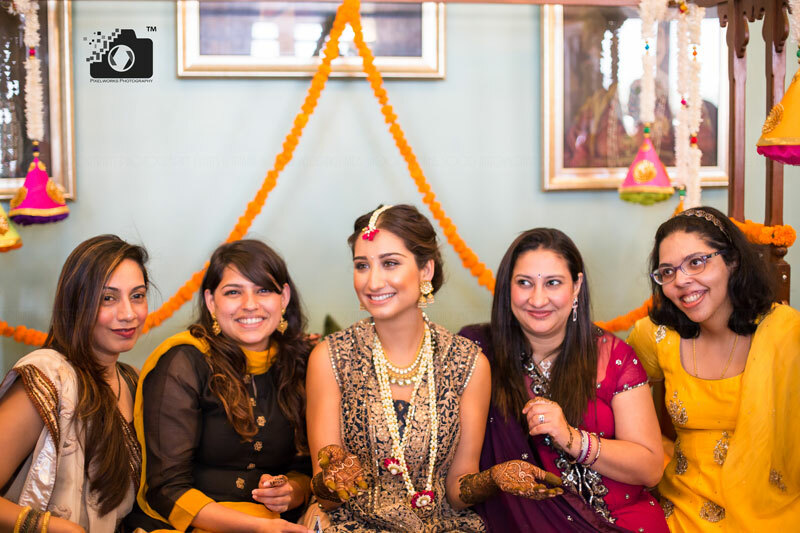 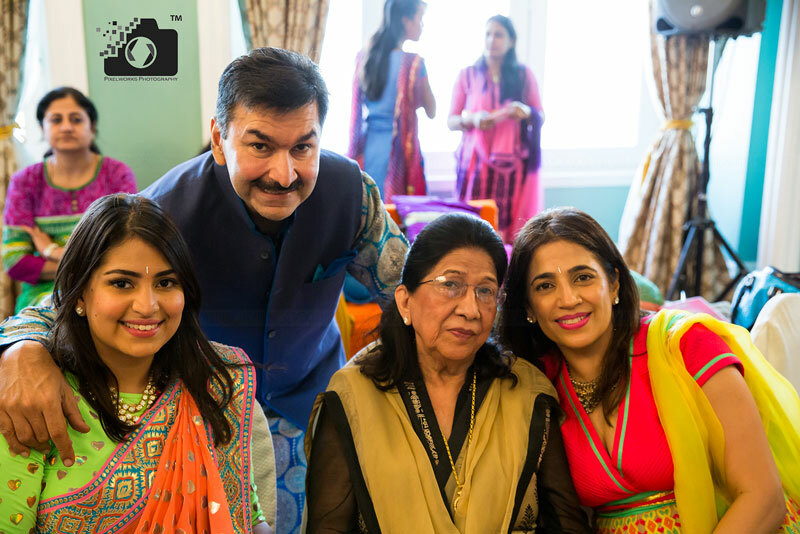 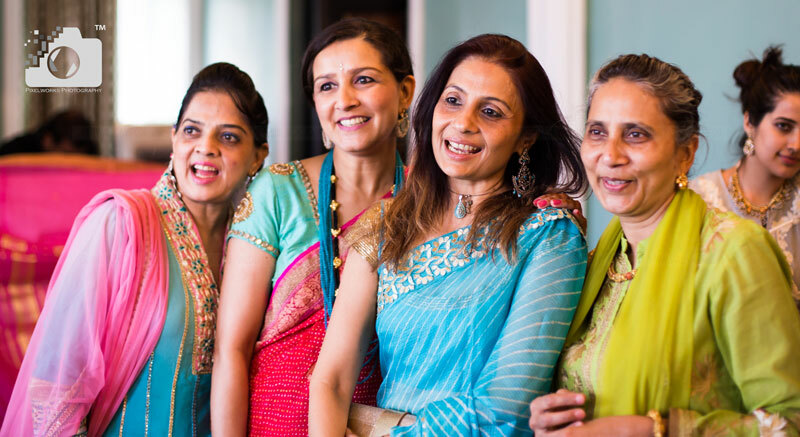 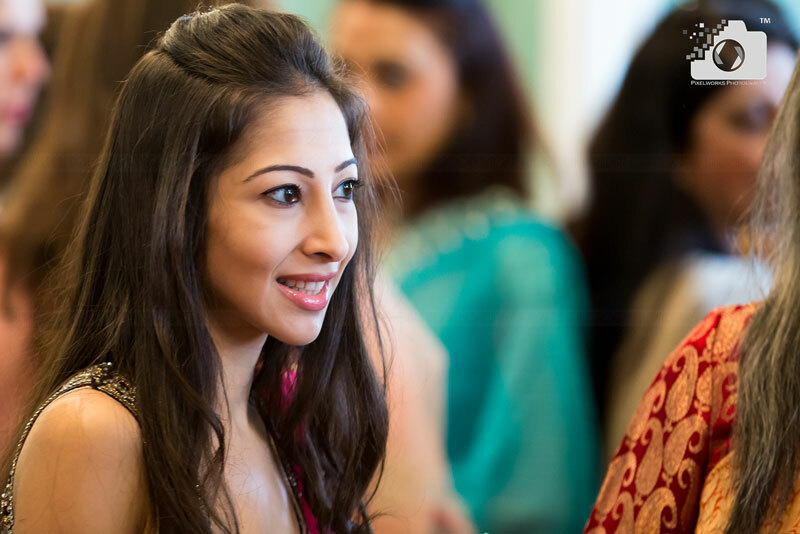 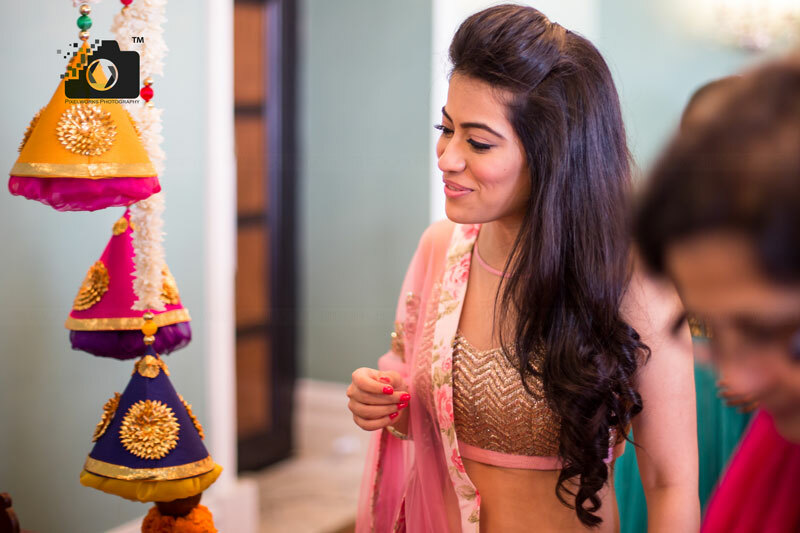 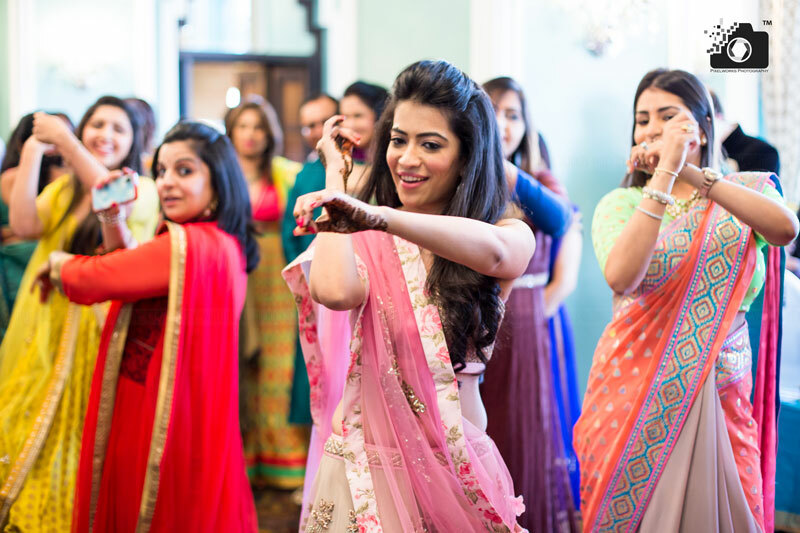 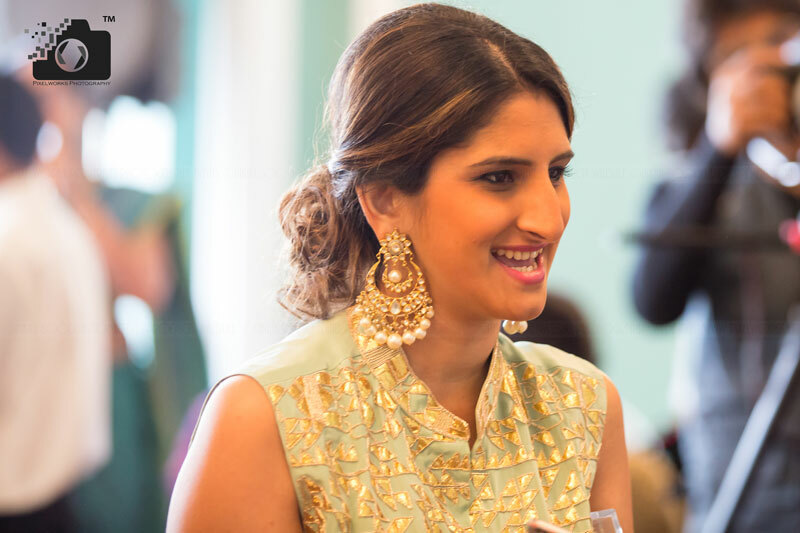 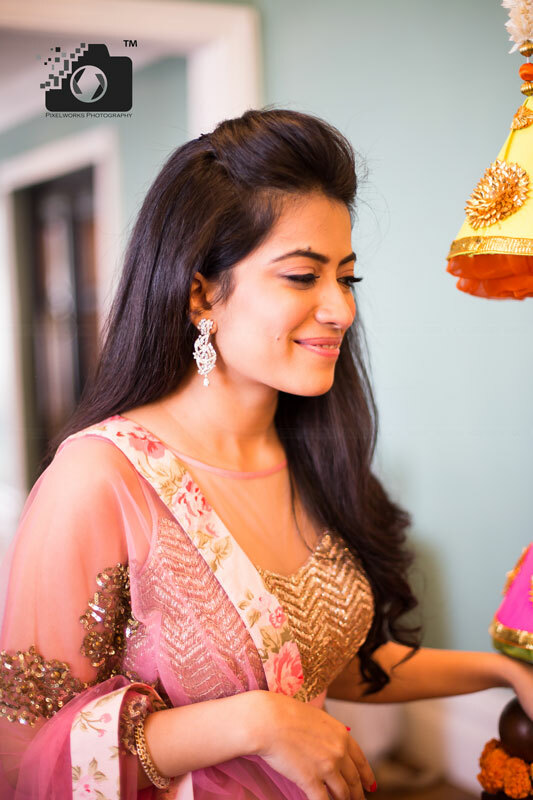 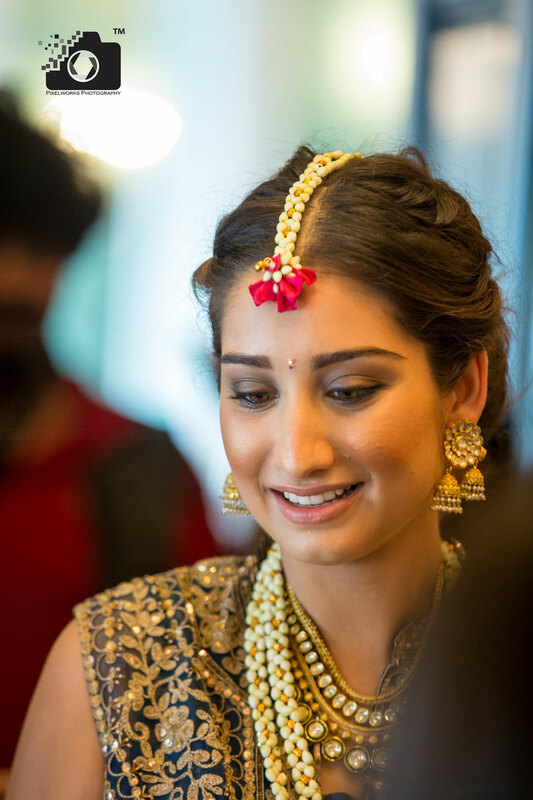 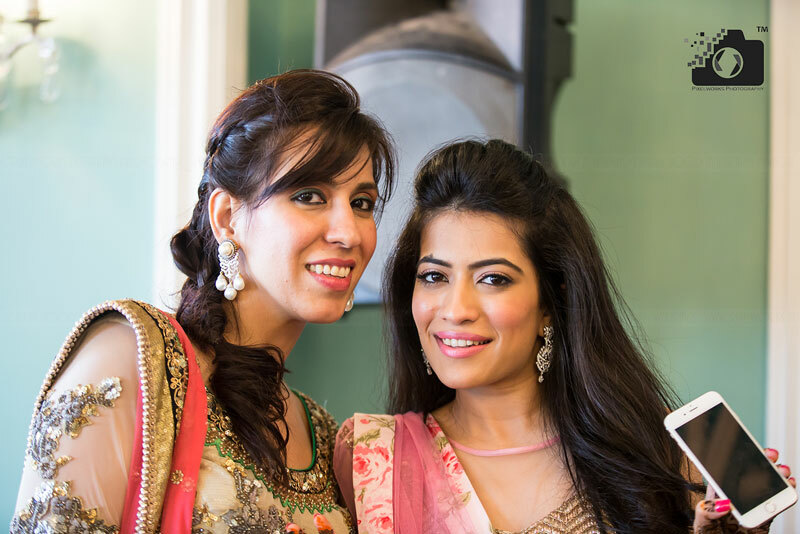 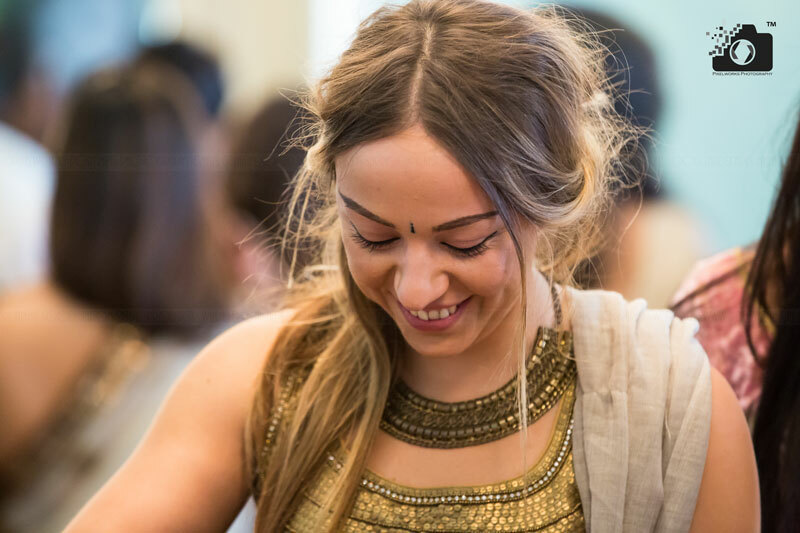 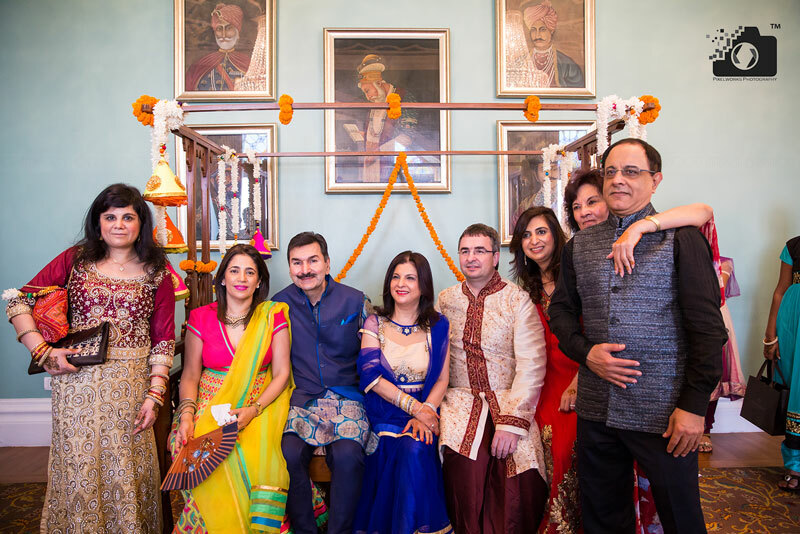 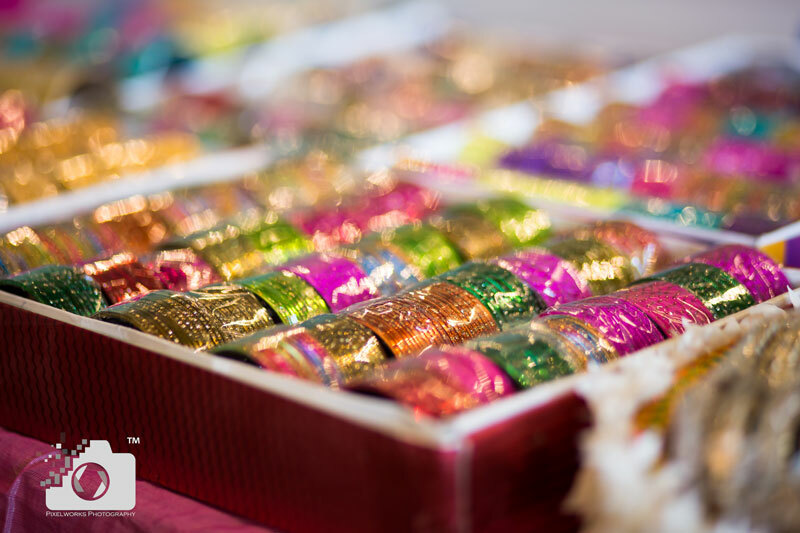 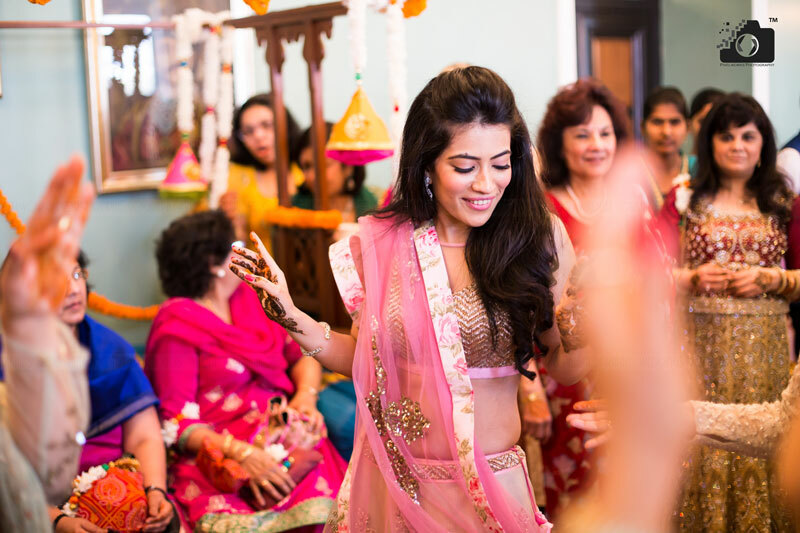 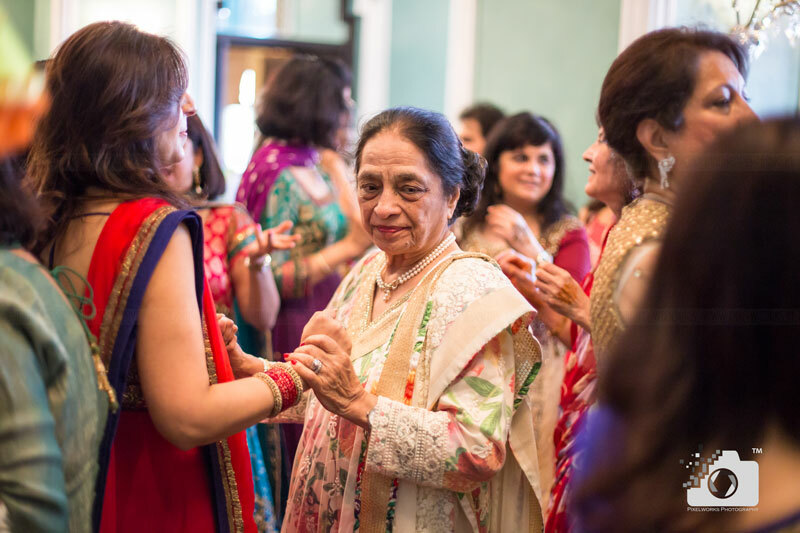 This is a story about Tehzeeb (Tez) and Prem (Vic) who were childhood friends.Their Mehendi function is such a heartwarming event and the pictures have so much to tell. 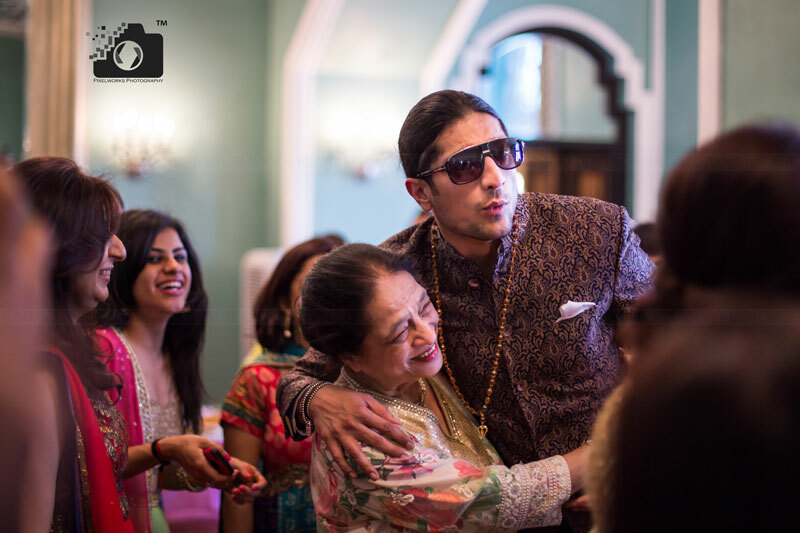 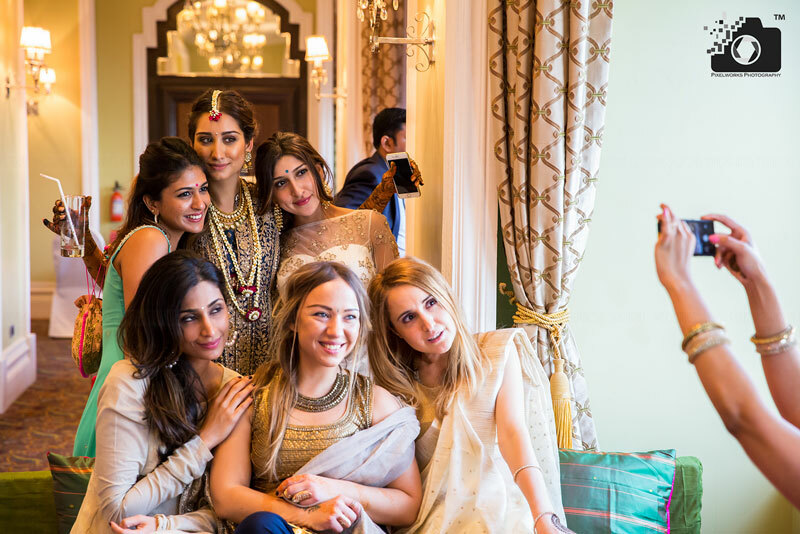 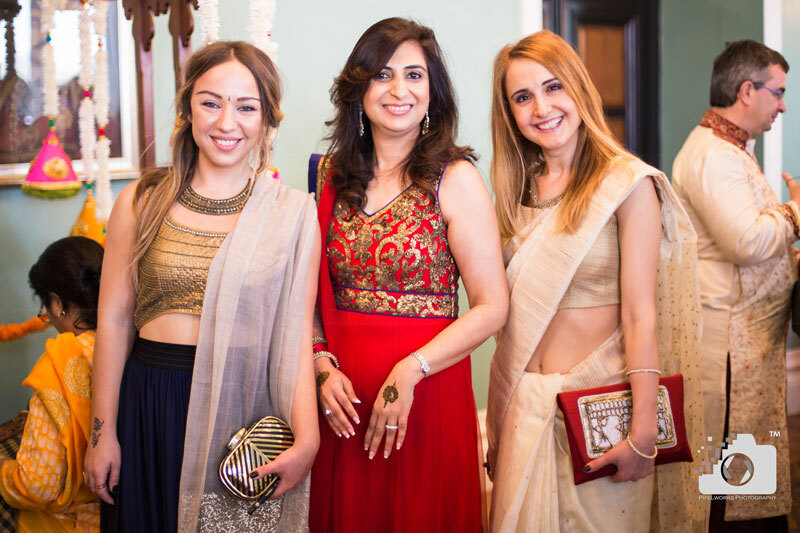 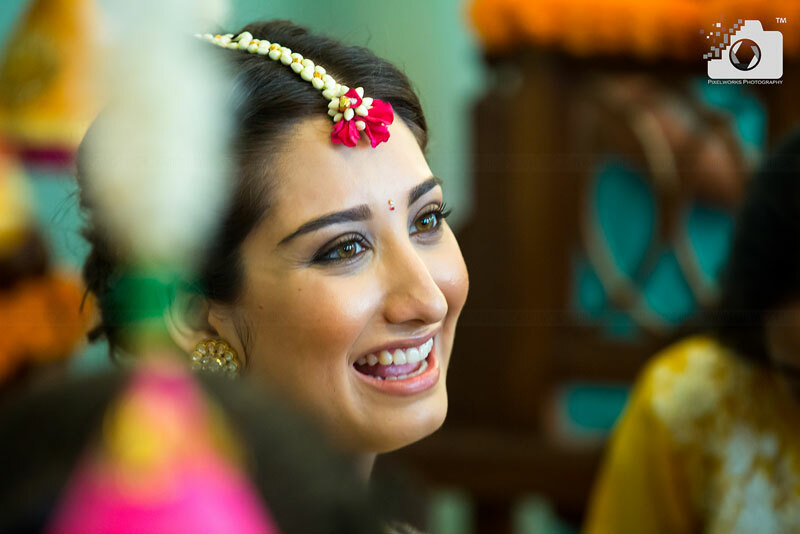 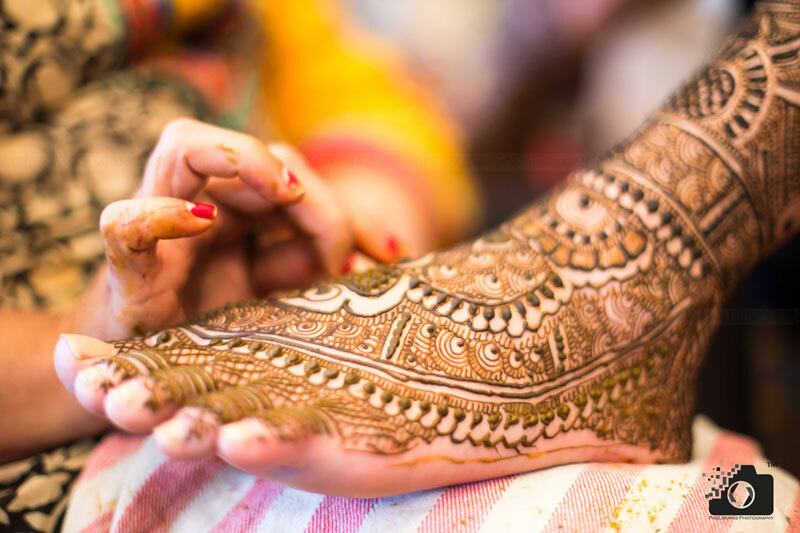 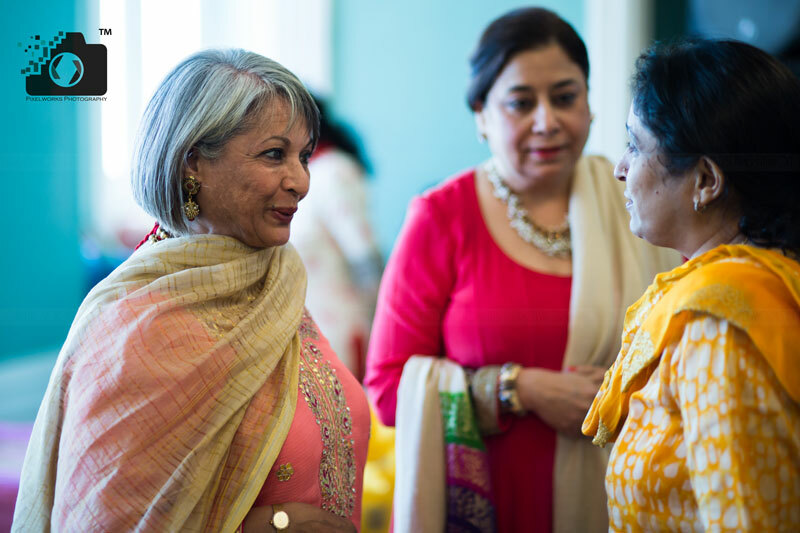 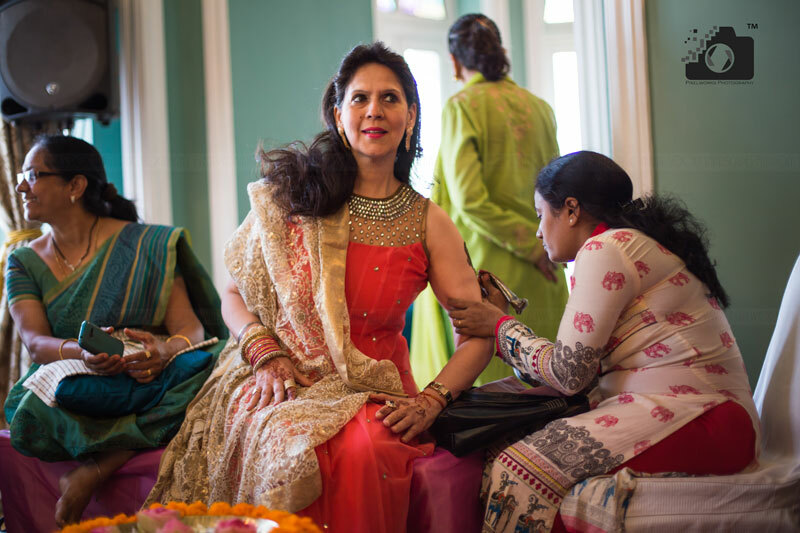 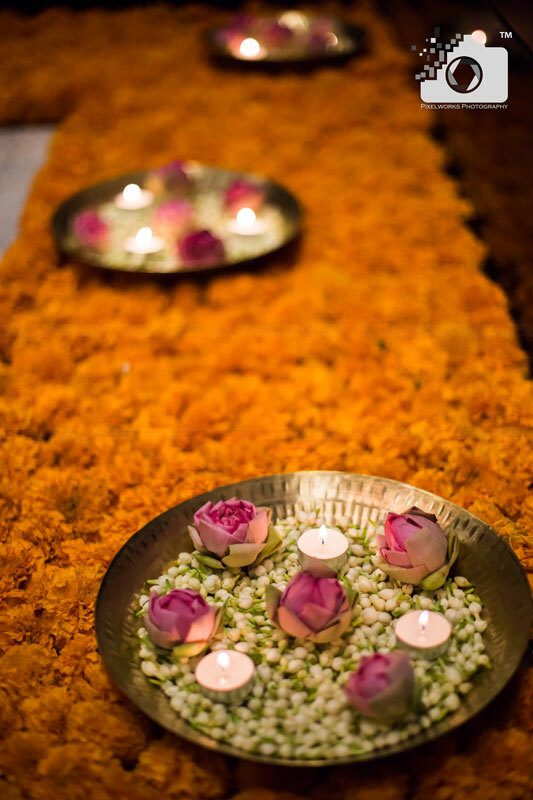 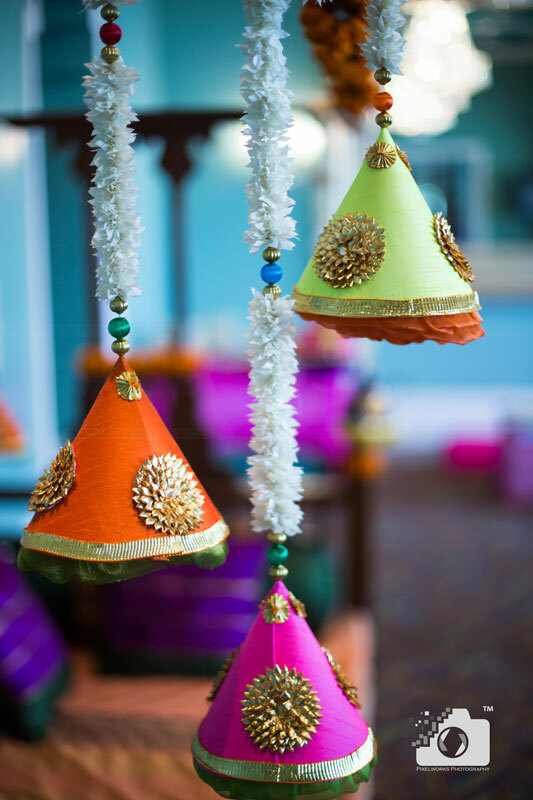 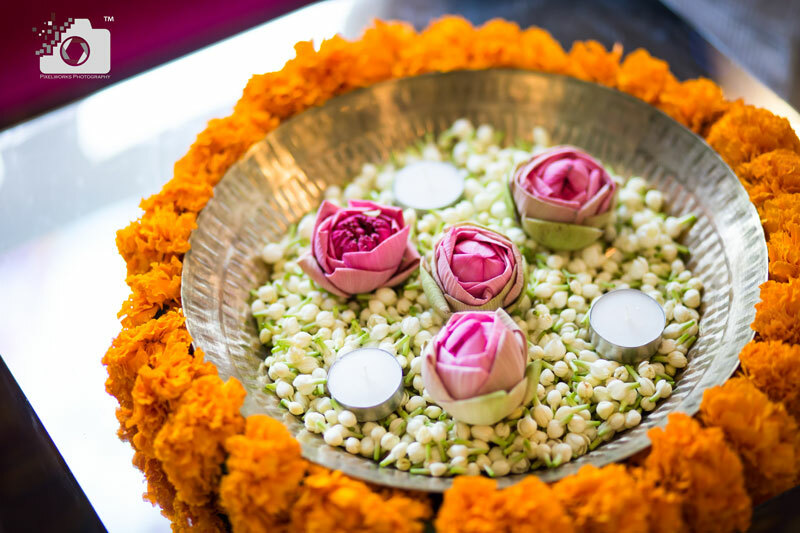 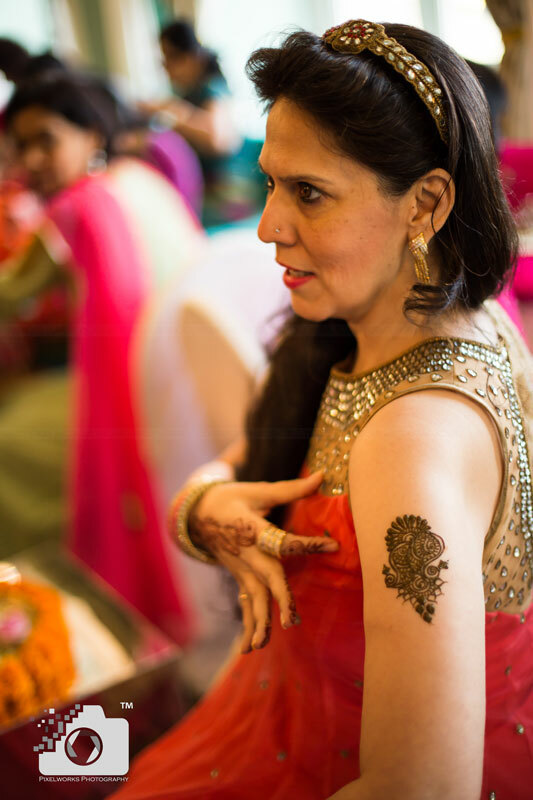 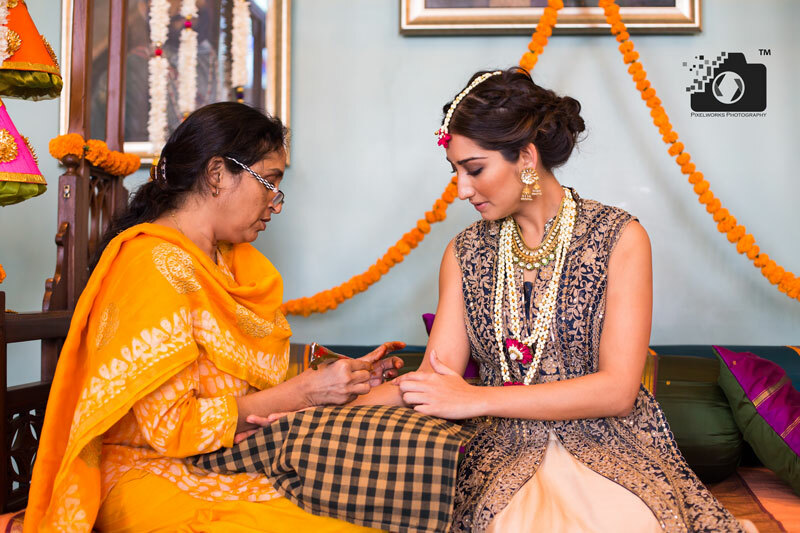 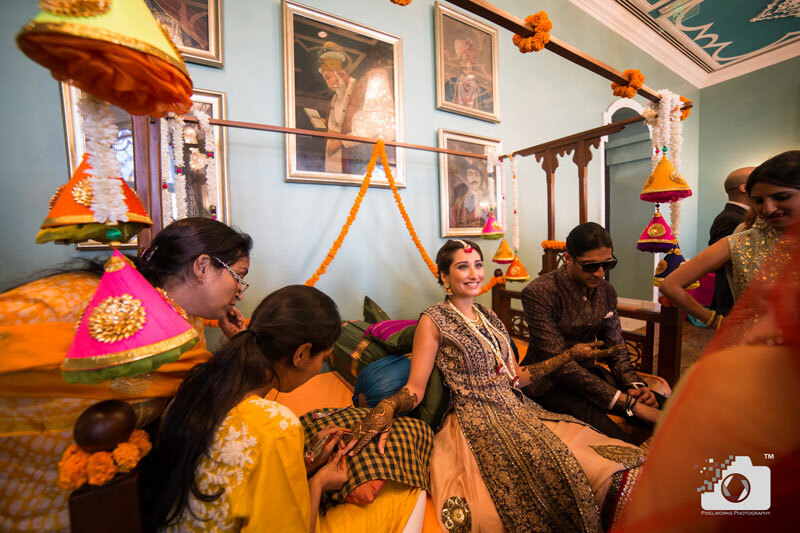 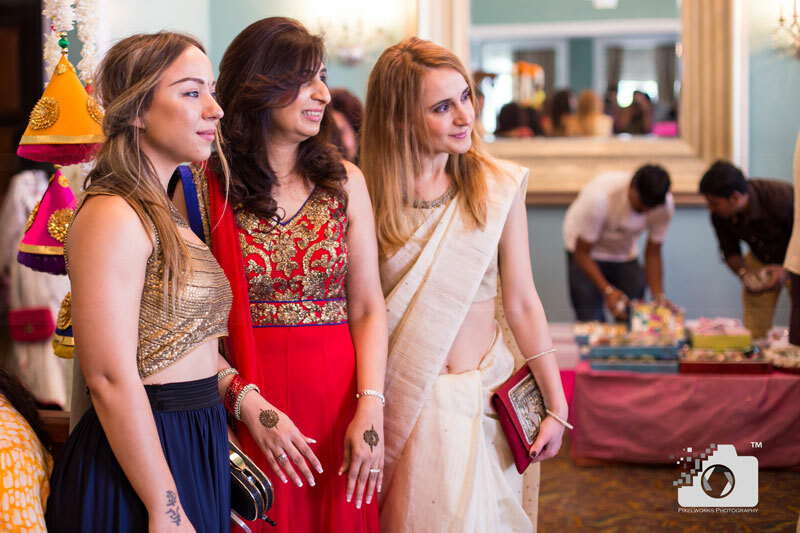 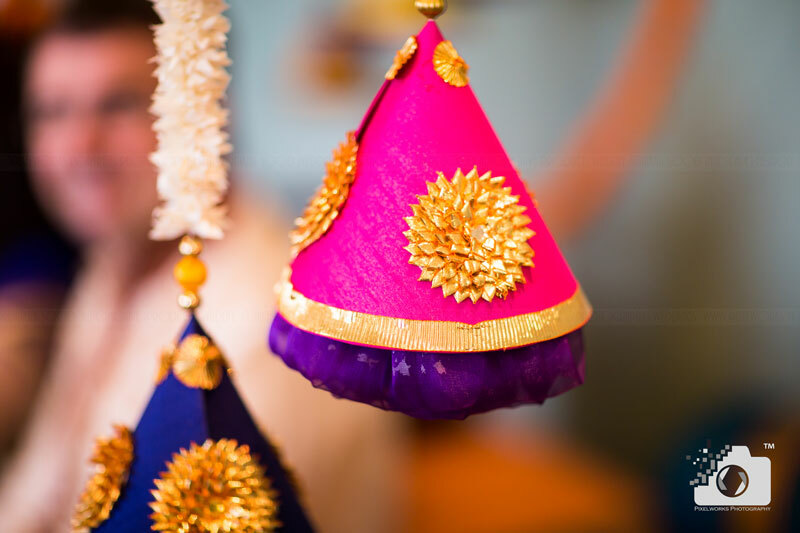 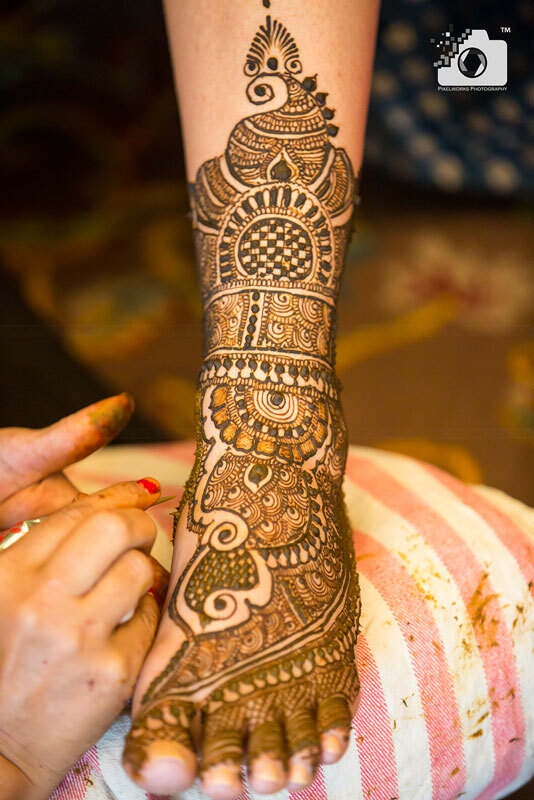 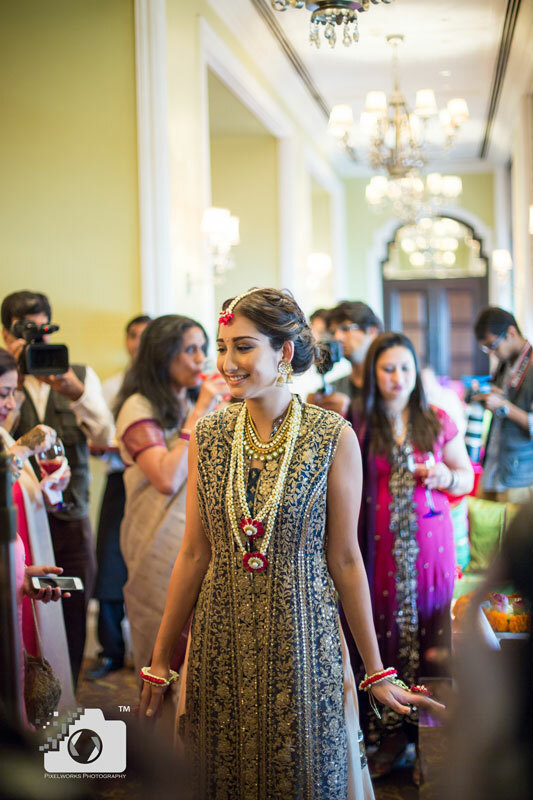 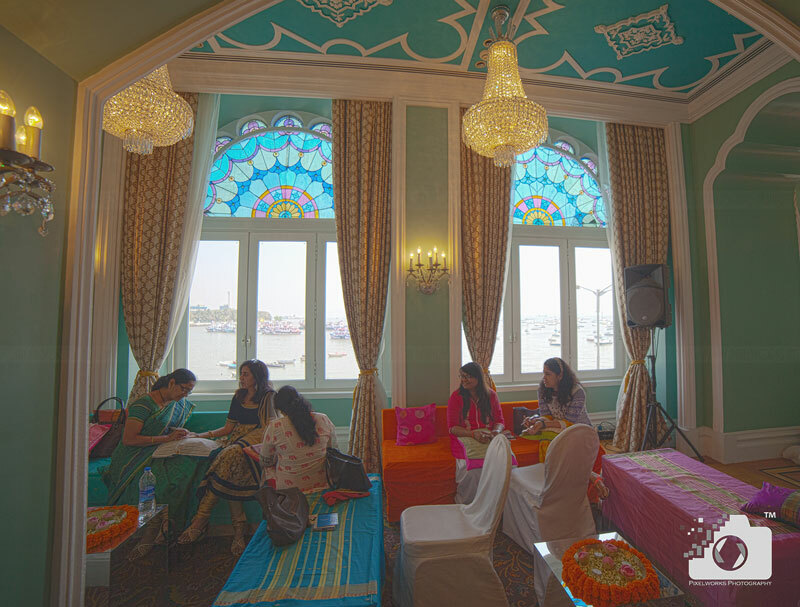 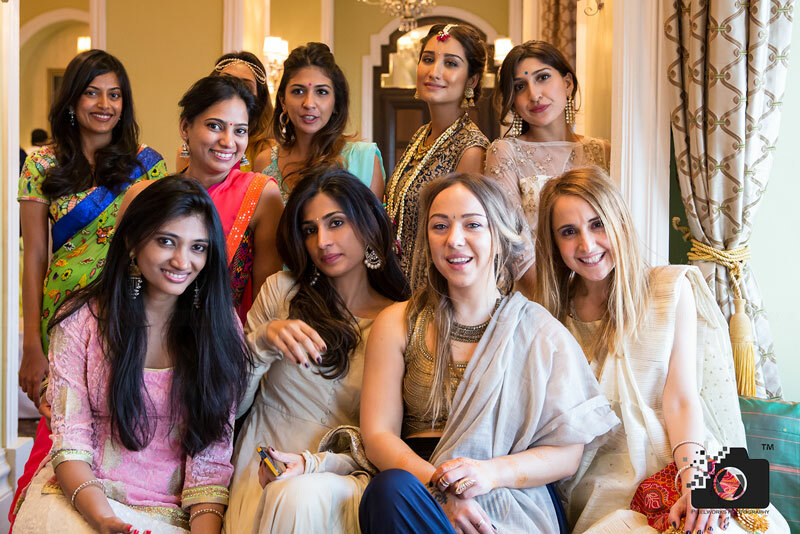 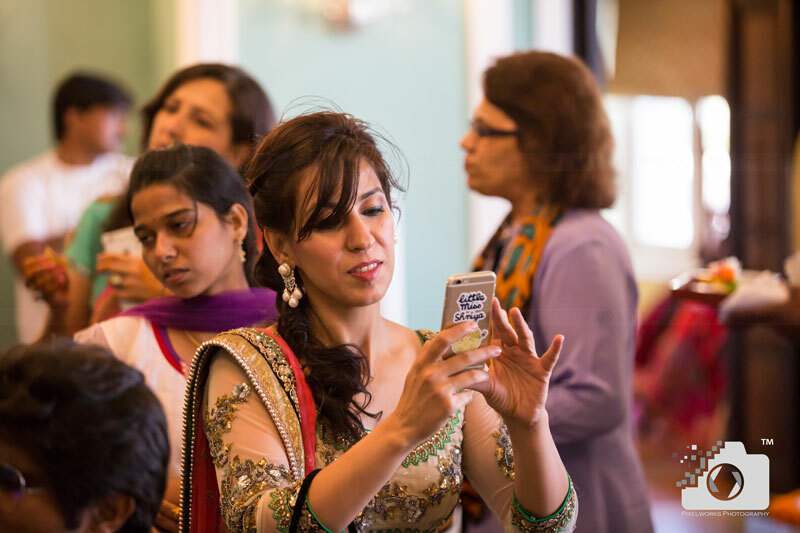 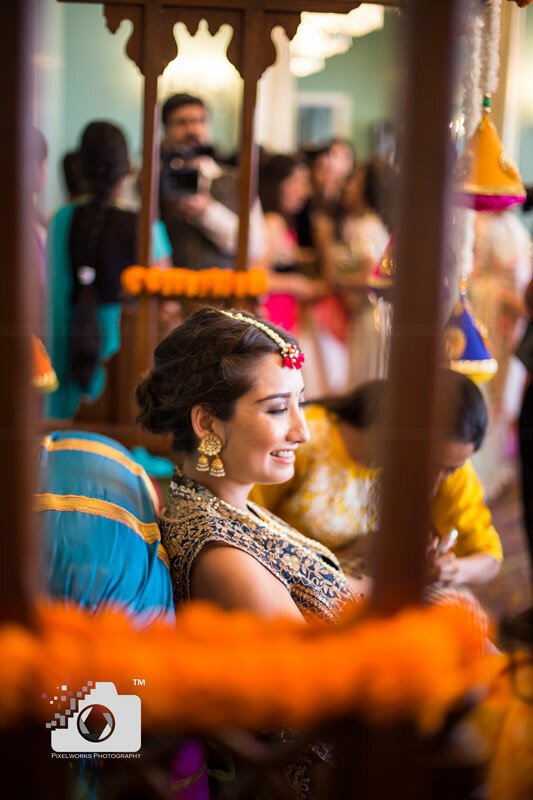 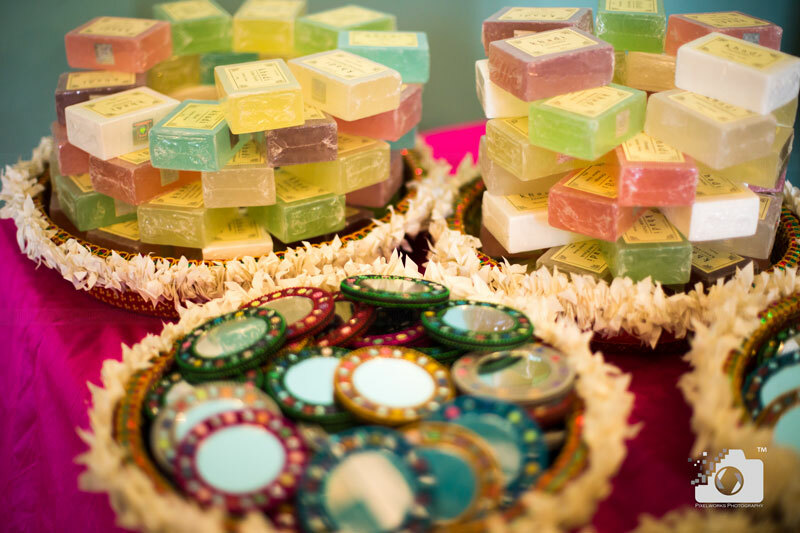 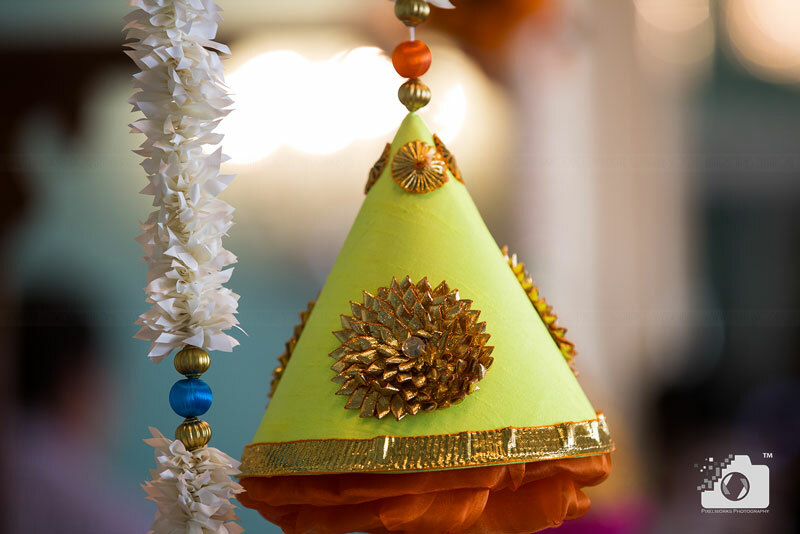 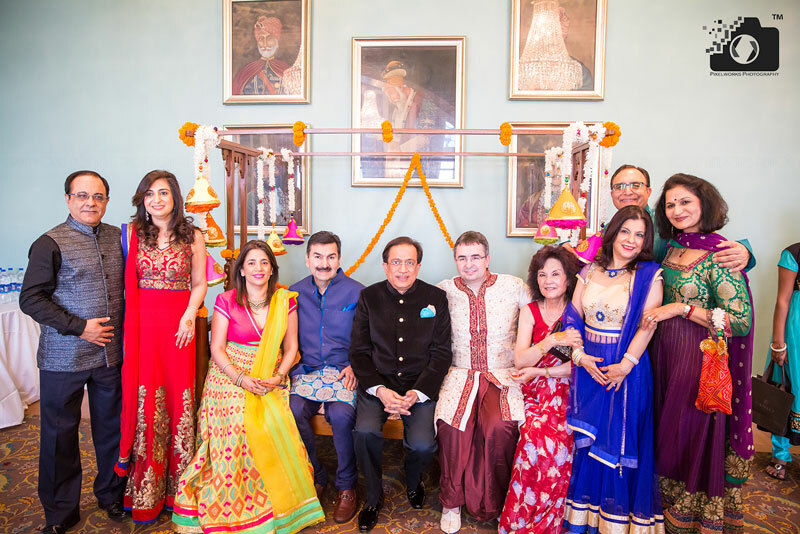 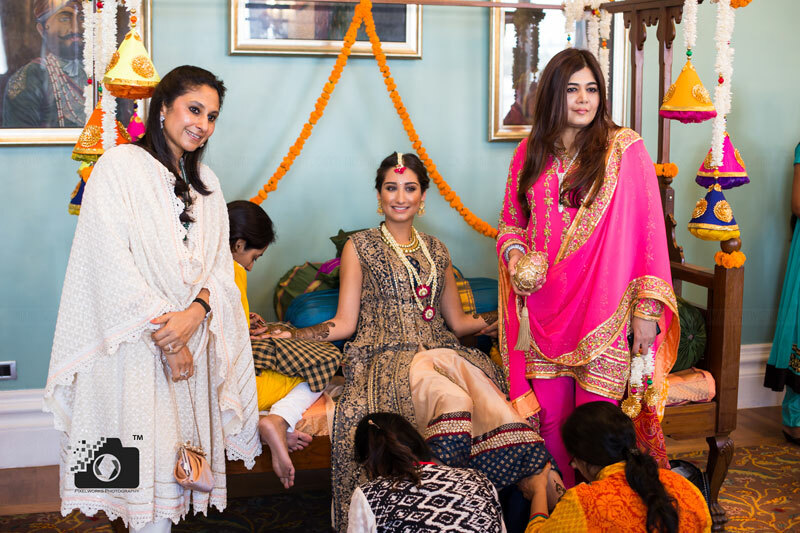 The Mehendi in Mumbai took place at the Taj Mahal Palace Hotel at Colaba. 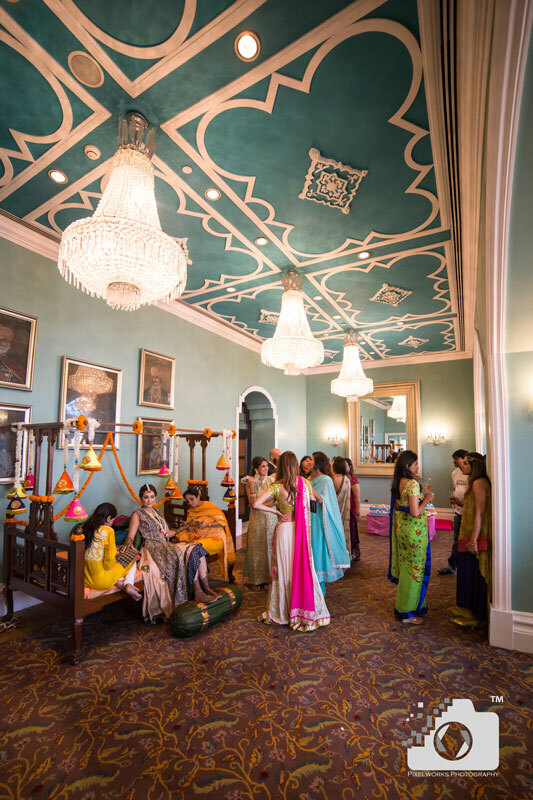 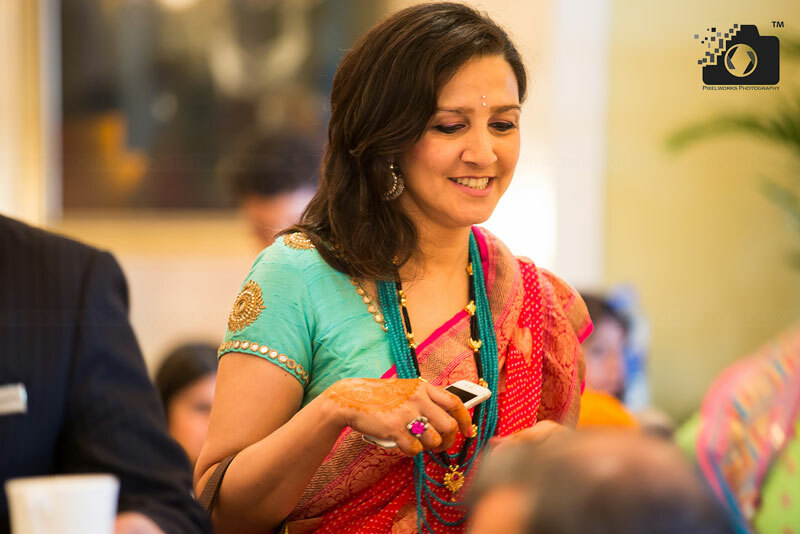 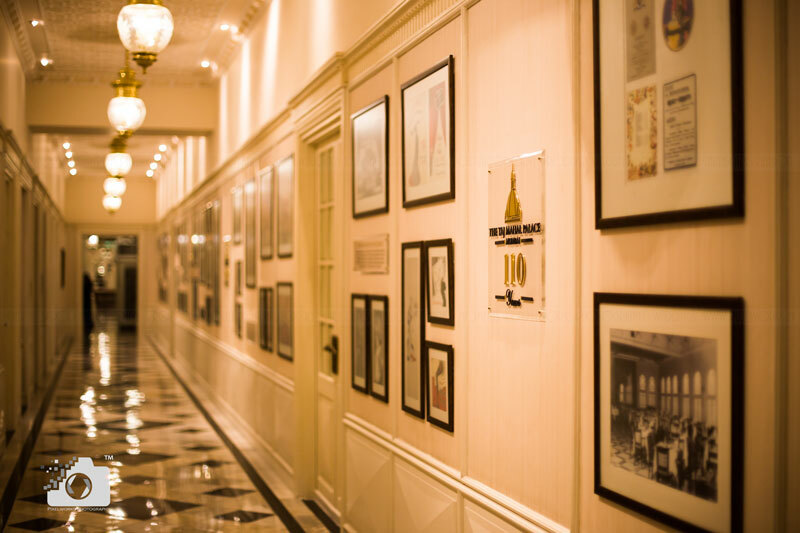 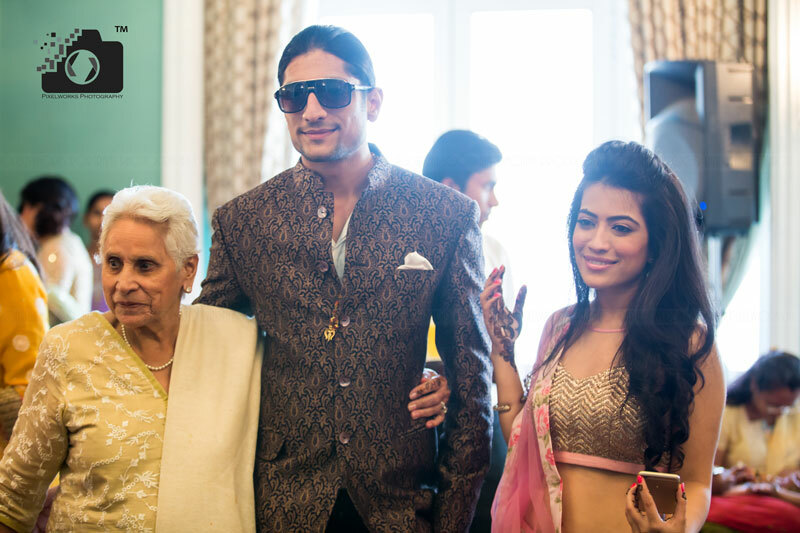 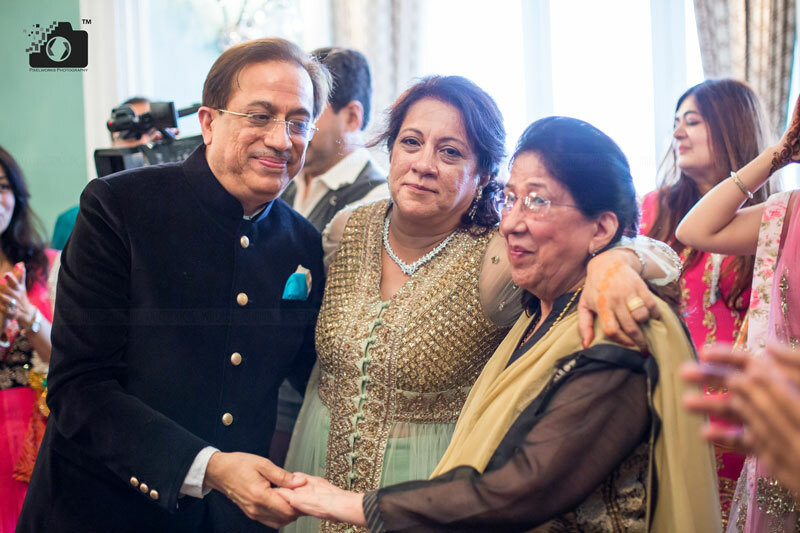 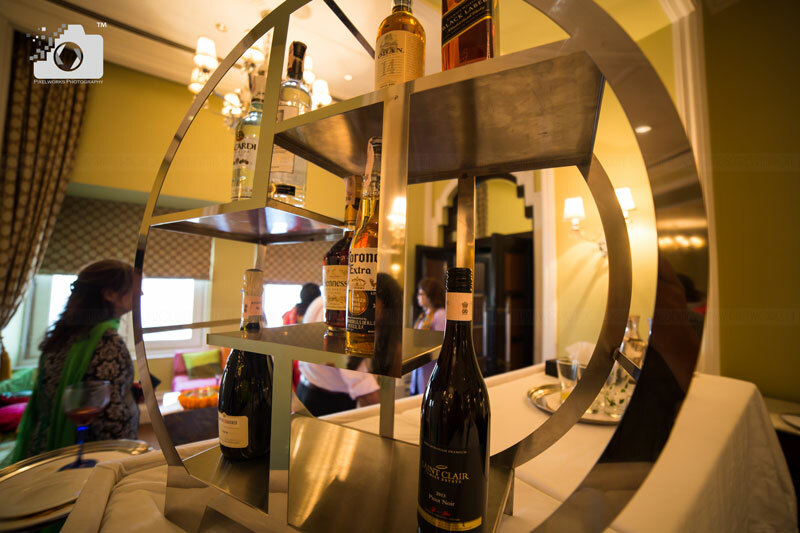 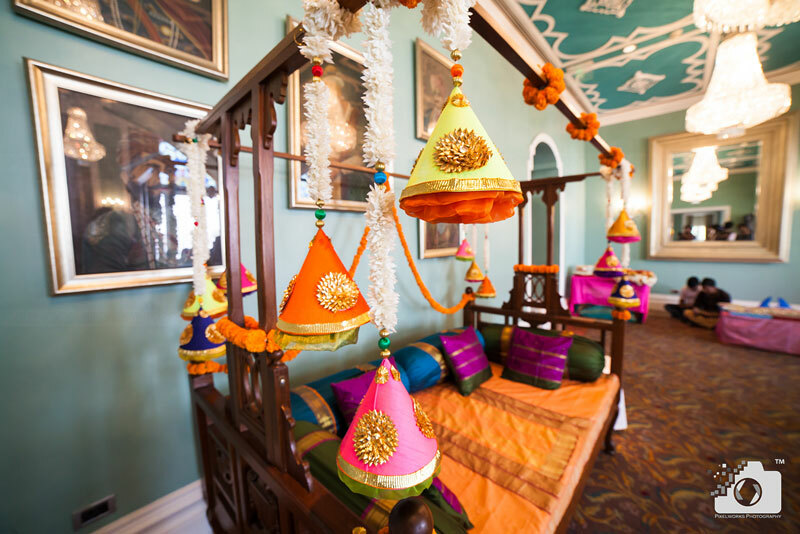 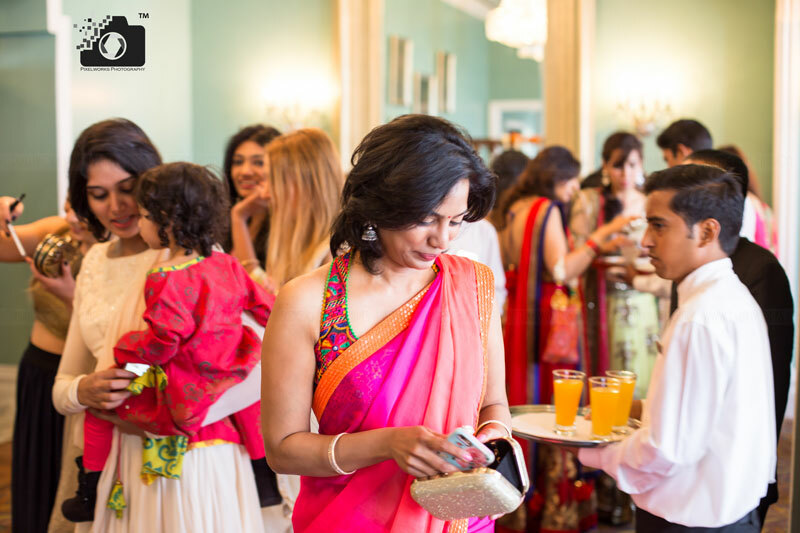 The venue is known to be their favourite as Taj Mahal Palace hotel had been the venue for their parents and grandparents wedding too. 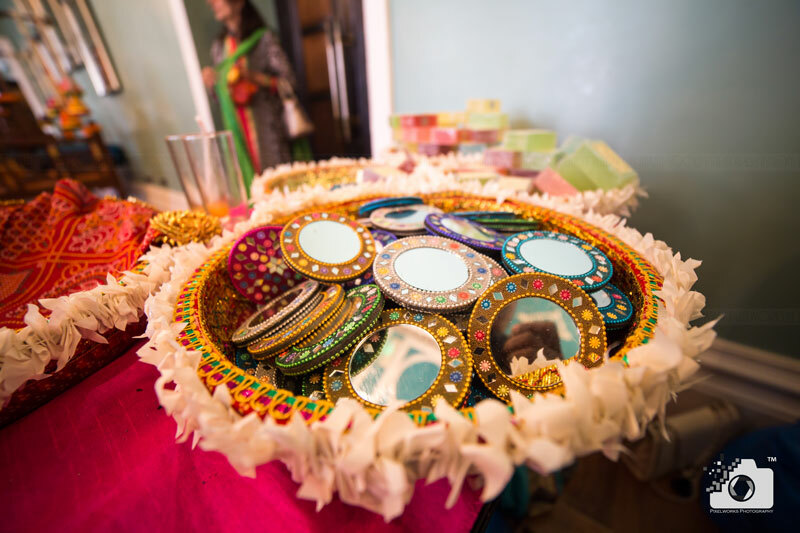 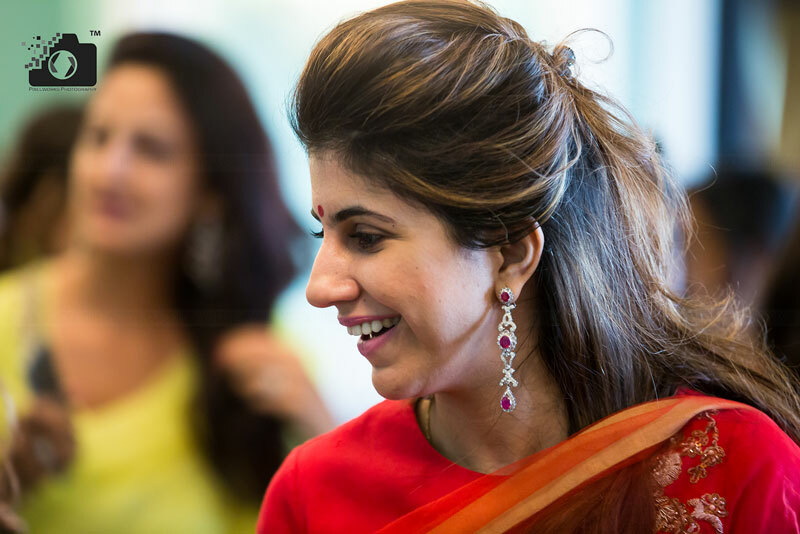 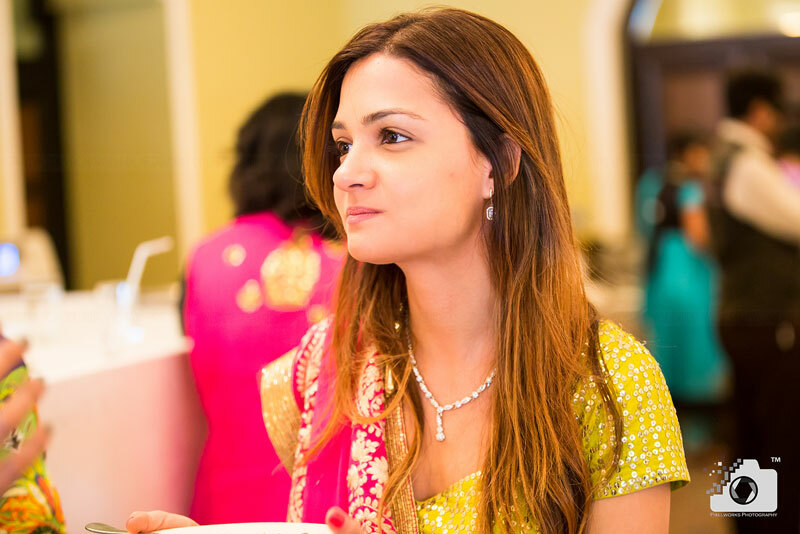 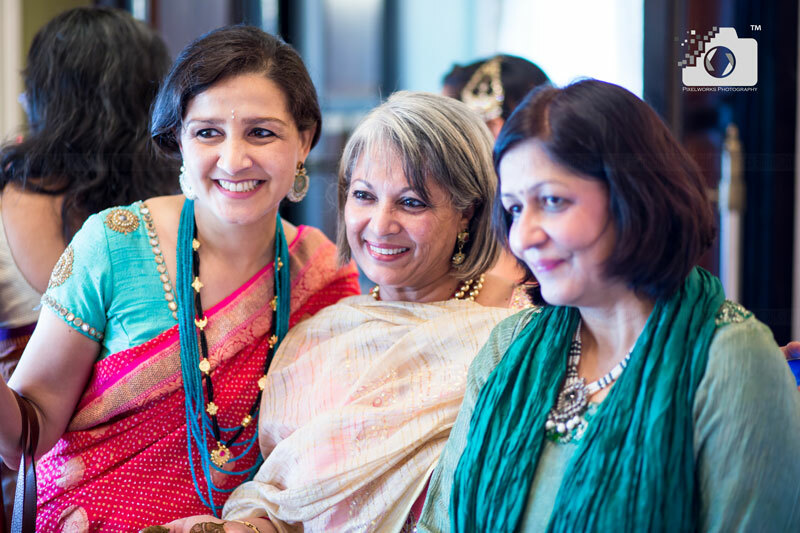 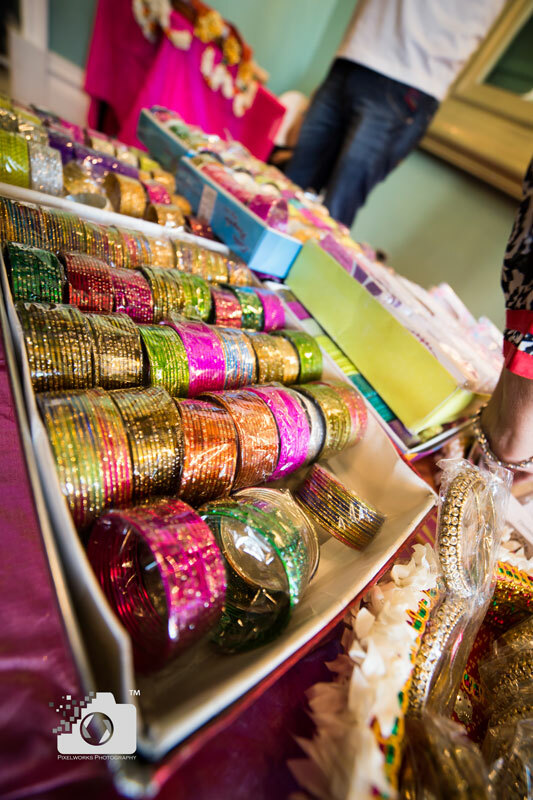 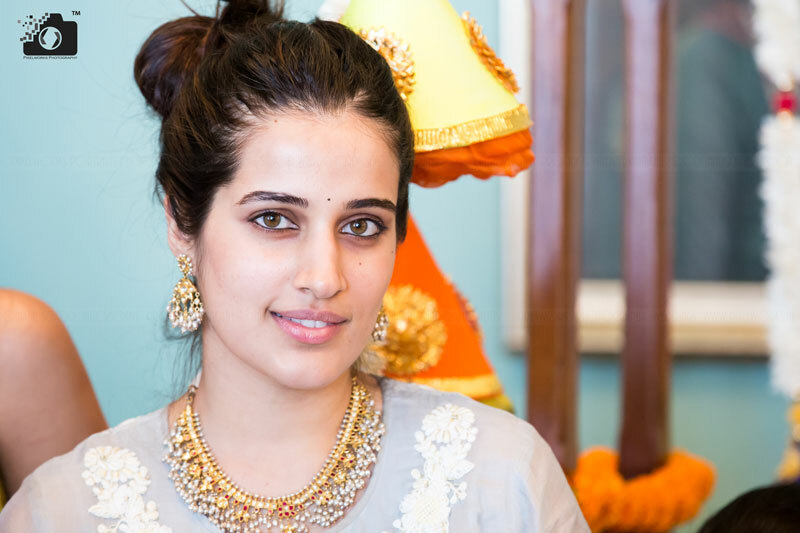 Tehzeeb is a jewellery designer and has the creative bent towards the choices that she makes. 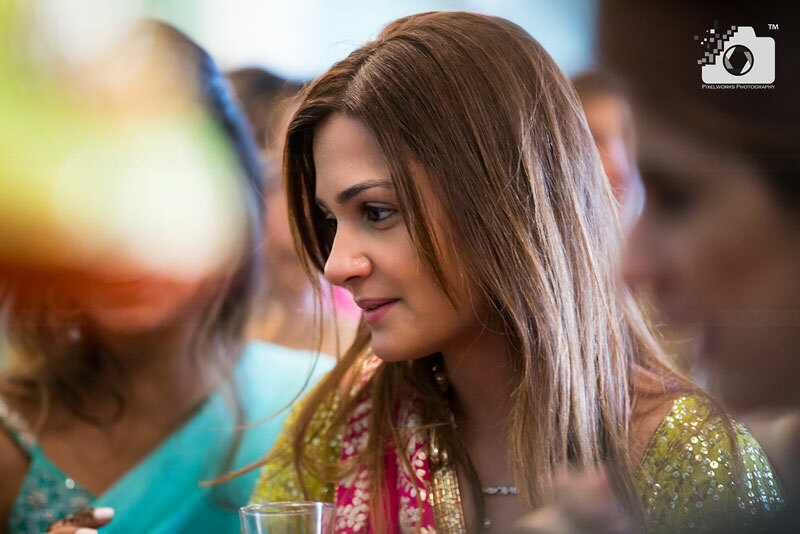 Her choices speak a lot about her calm and composed personality. 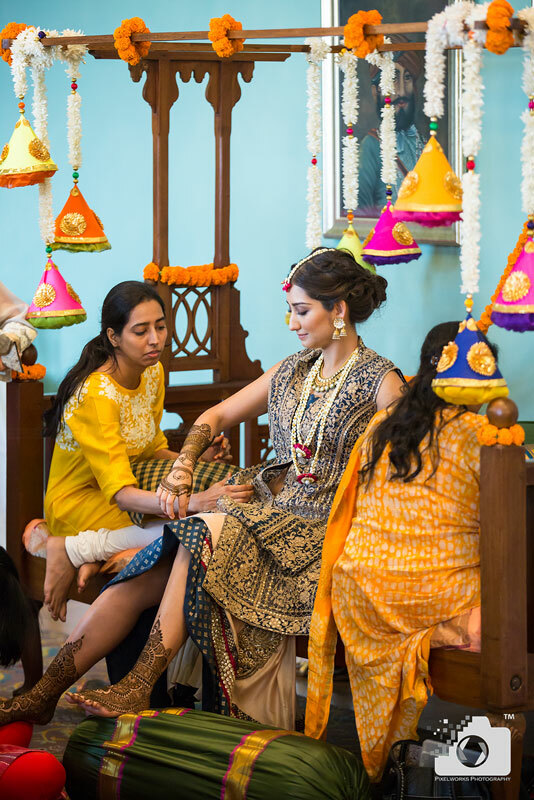 Her outfits, decor and everything around her is mesmerizing. 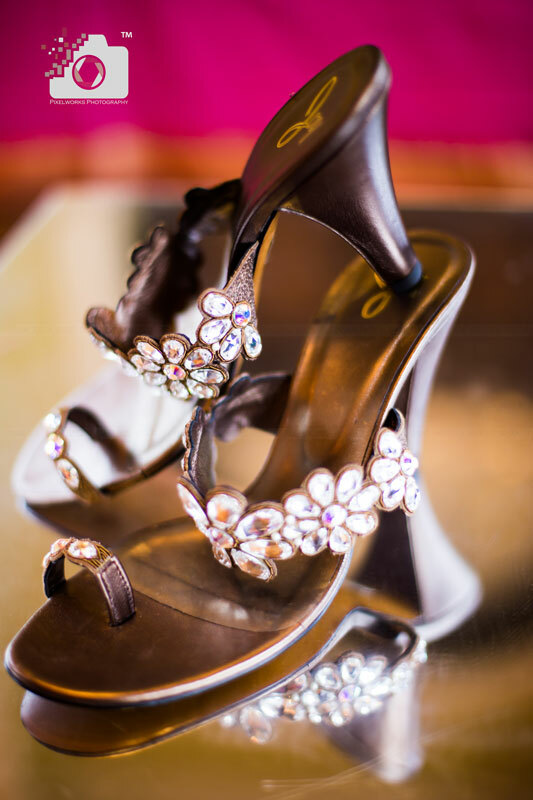 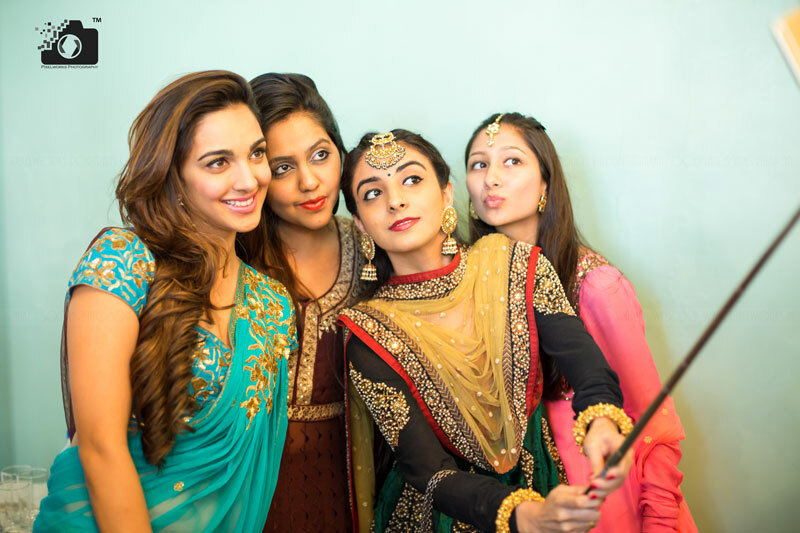 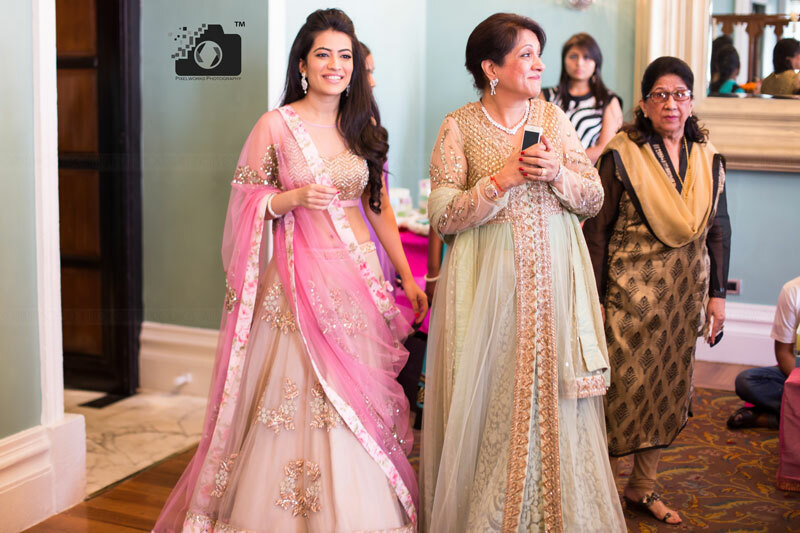 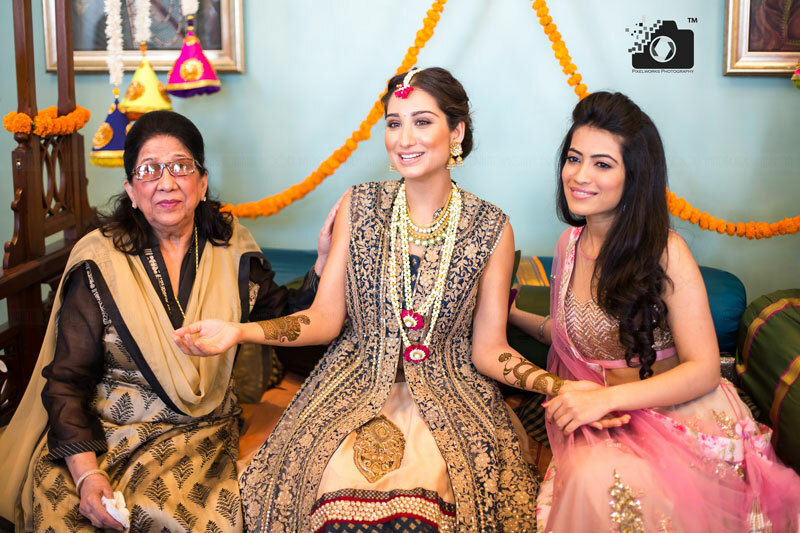 We bet you can’t take your eyes off of Tehzeeb, the bride and the beautiful pictures. 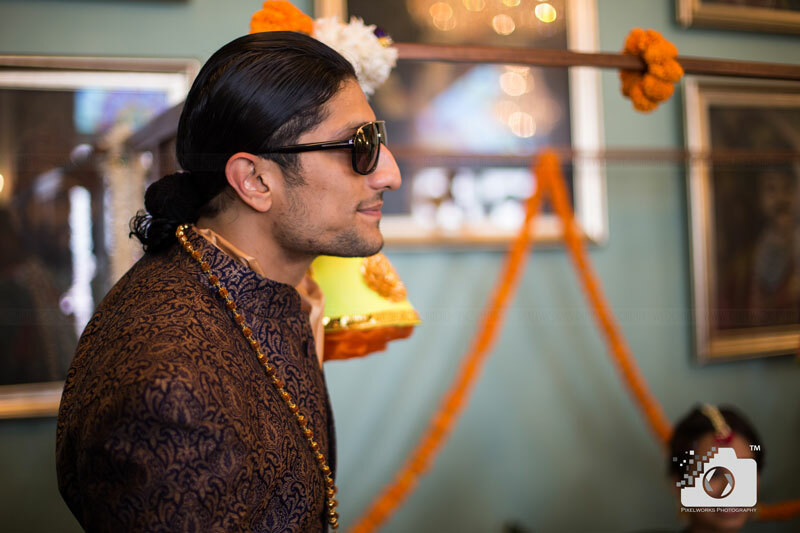 The Groom, Vic charms the ambience with his presence and confident personality. 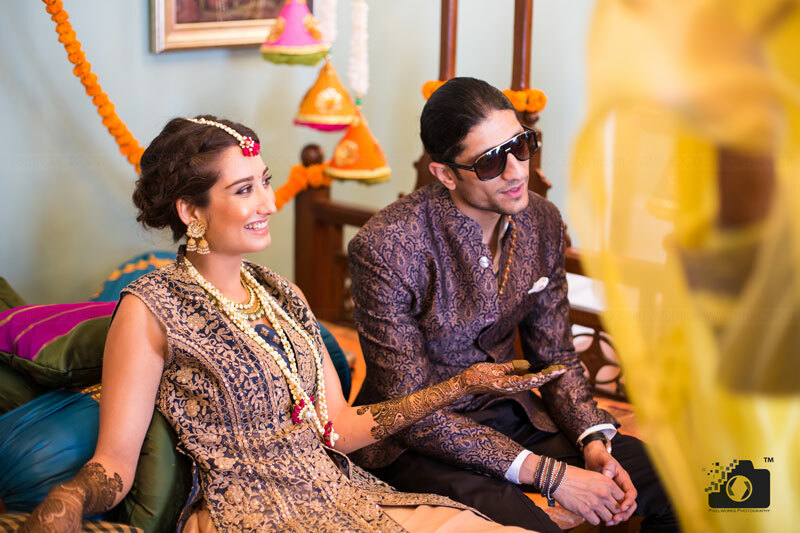 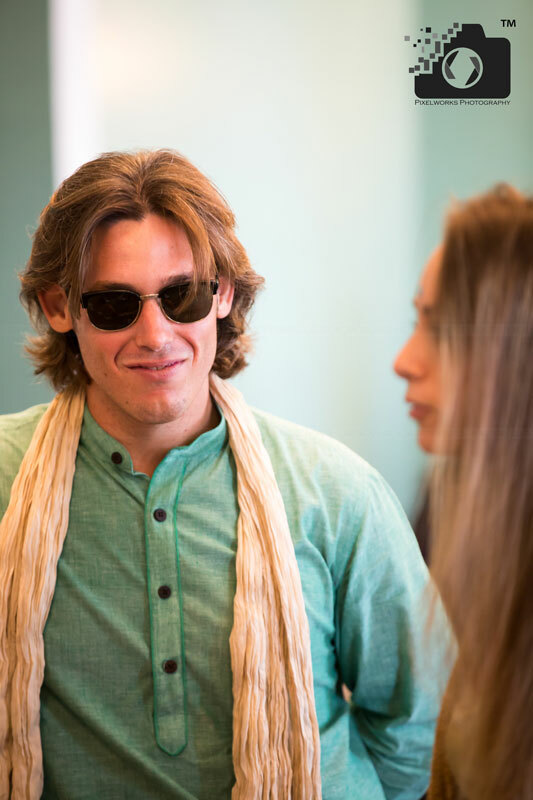 The couple reflects such a positive energy that their aura and love bring smile to everyone’s face. 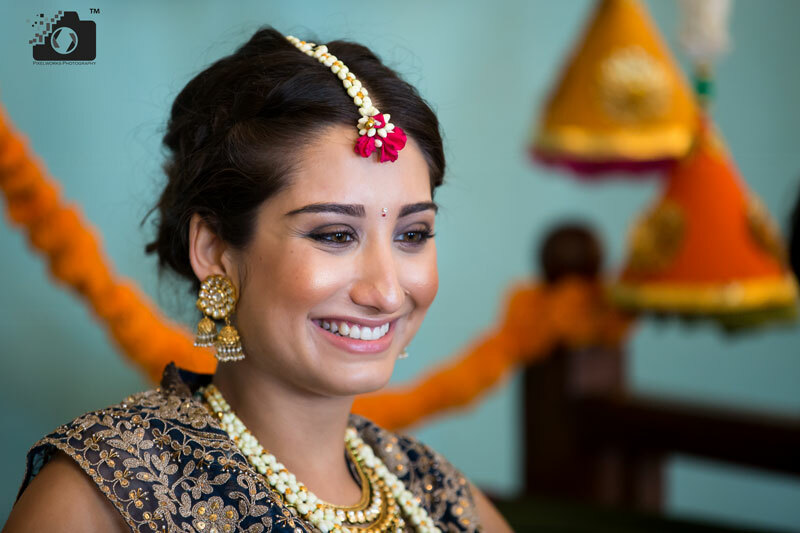 Vic and Tez found Pixelworks over the internet and Tez mentioned that she sees clarity and beautiful colour composition in our pictures and hence they went ahead with Pixelworks Photography for their Pre wedding and Wedding Photography as well. 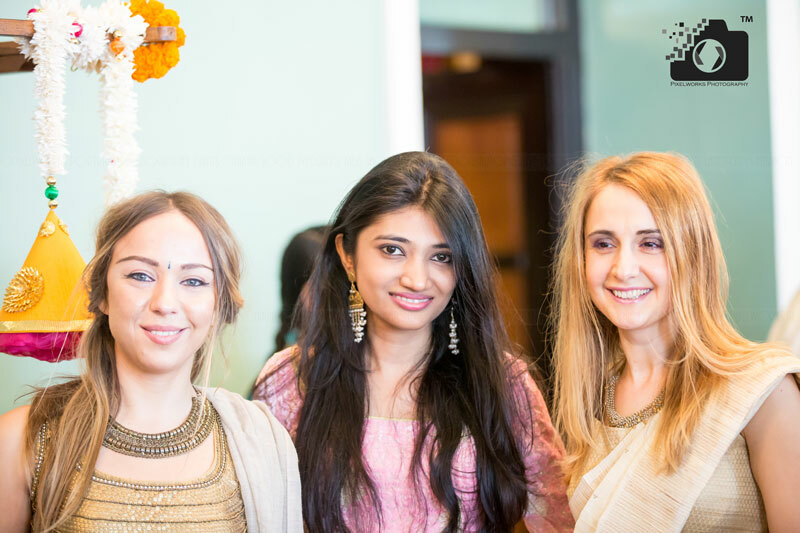 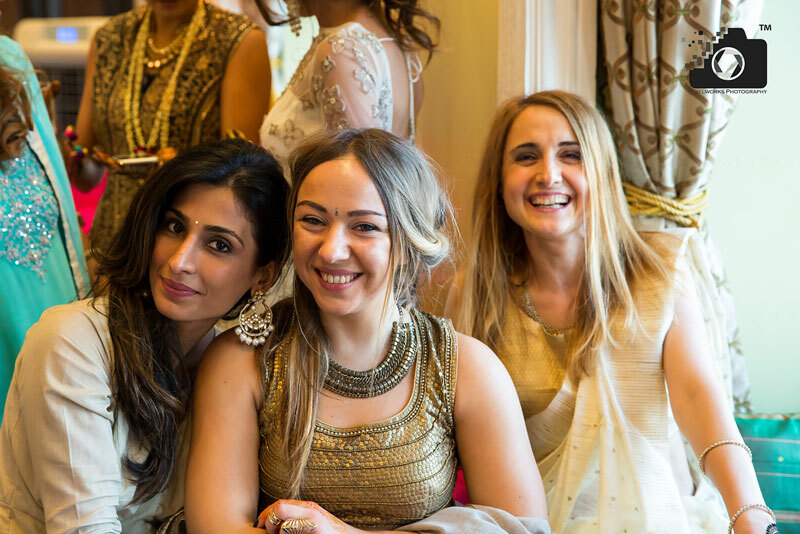 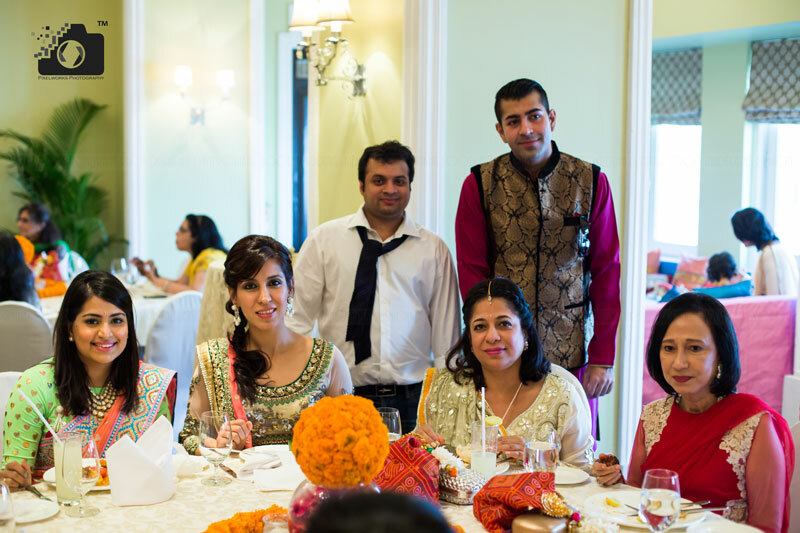 It was more like a silent Big-Fat-Indian-Wedding amongst the poised and tasteful people. 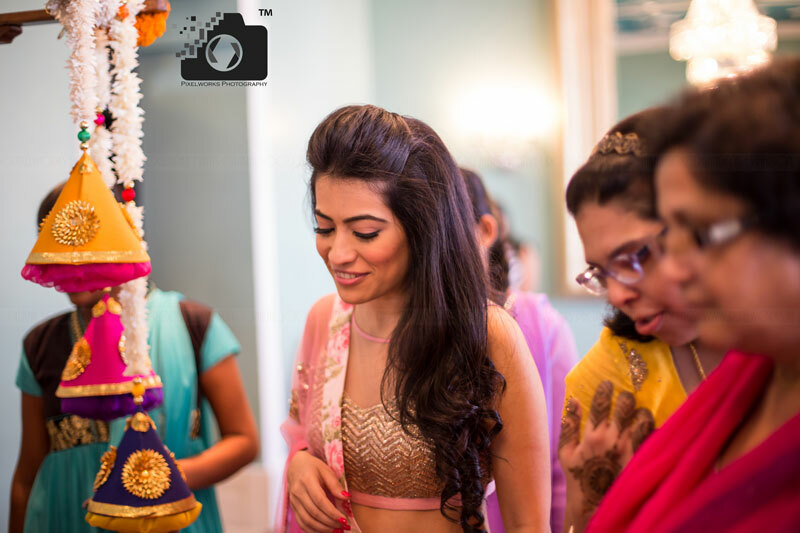 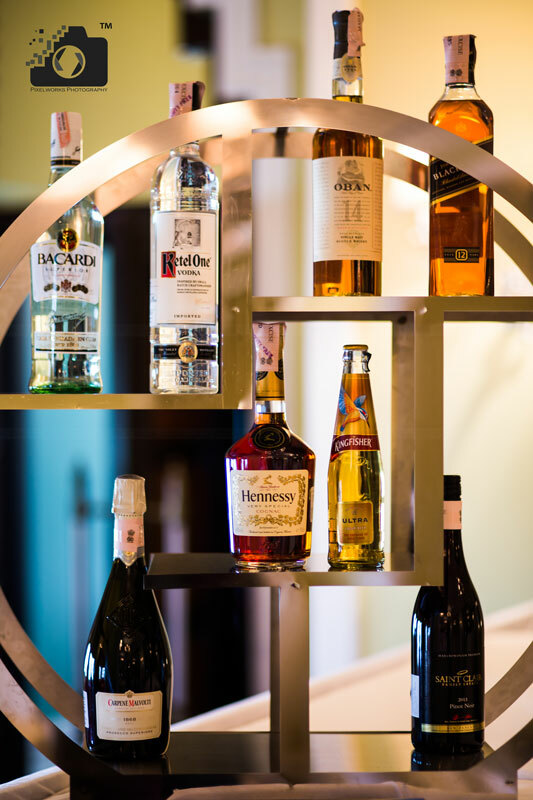 To witness the beauty of each picture wait for the slider to load first. 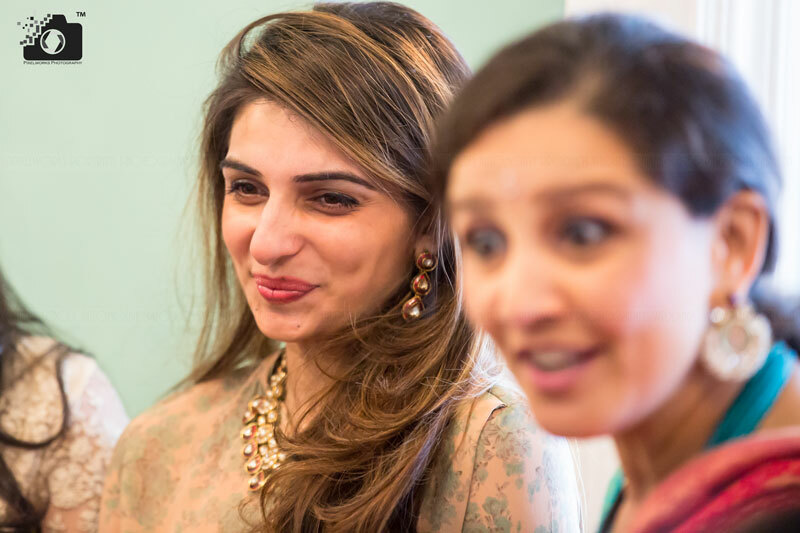 The pre wedding video of Vic and Tez is such a delight to the eyes. 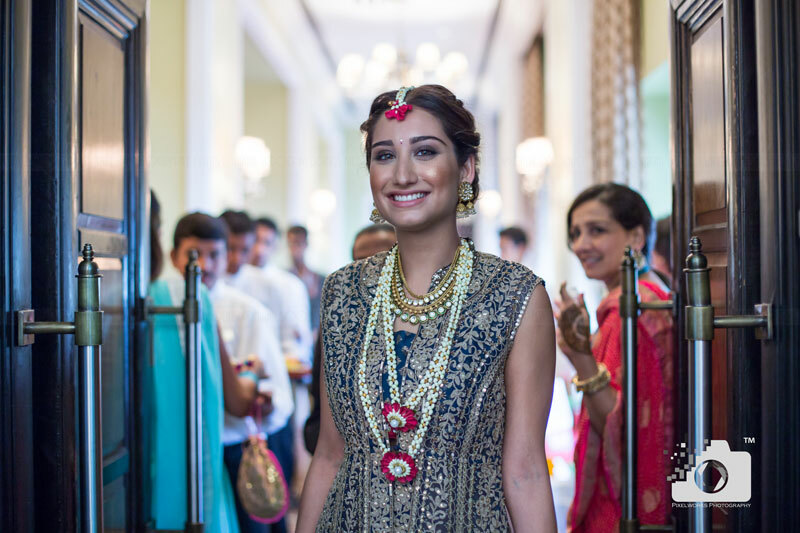 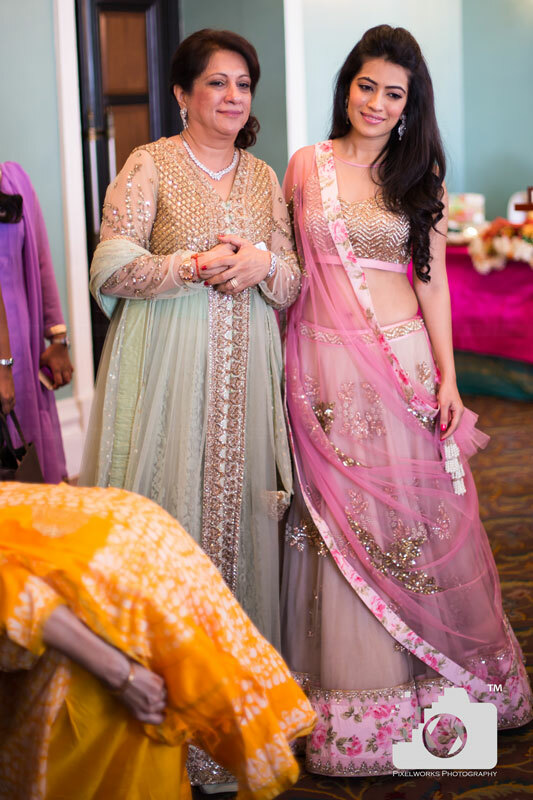 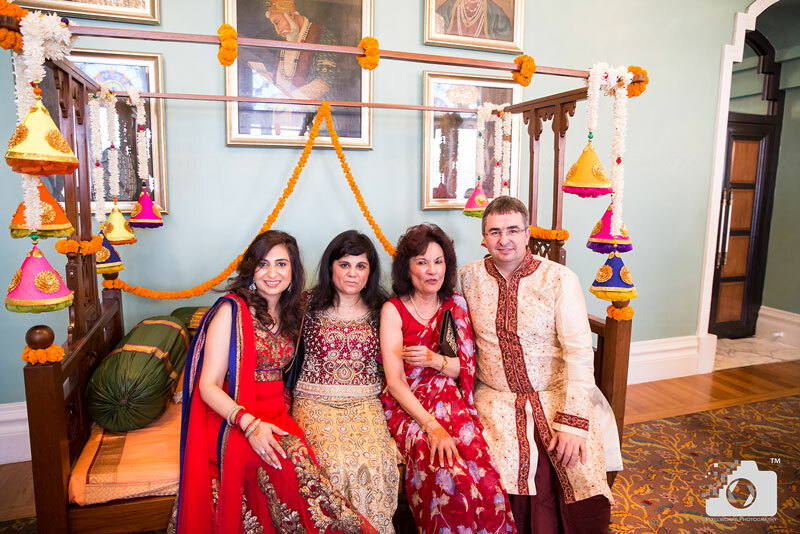 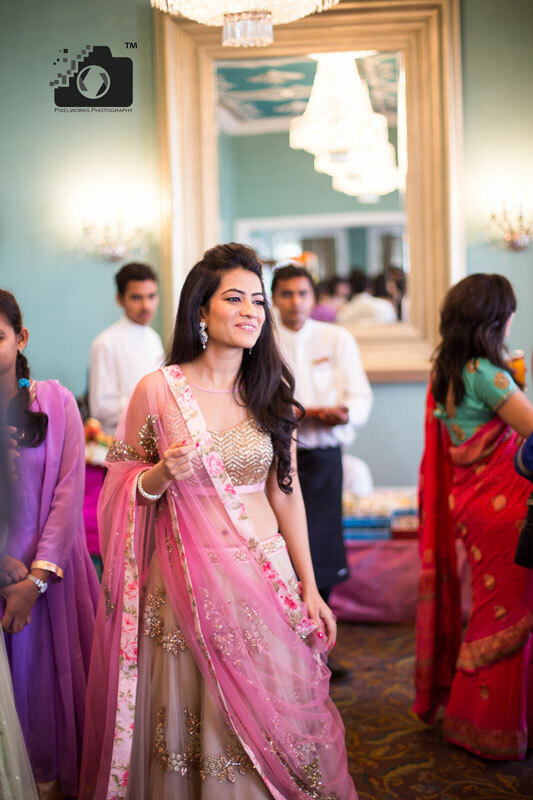 There pre wedding too took place at The taj Mahal Palace Hotel. 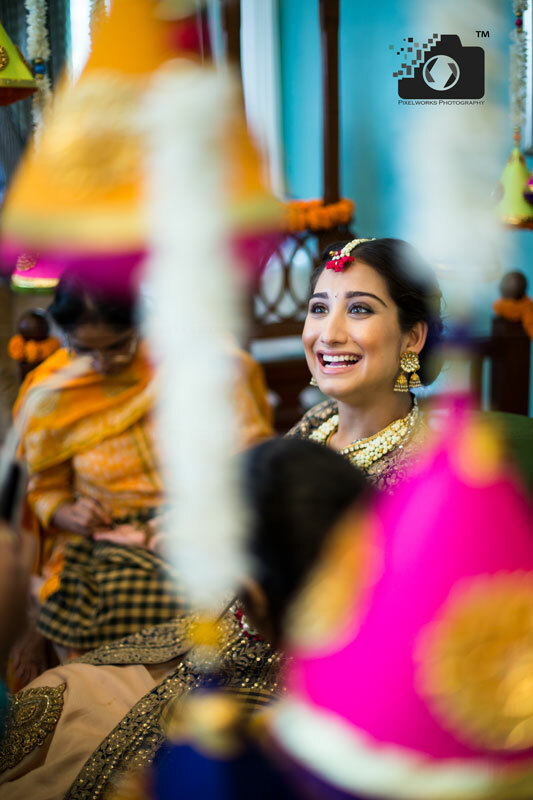 If you too want your pictures and Cinematic video as amazing as this, we are only a click away,Make an enquiry or use the Chat Now option on screen. 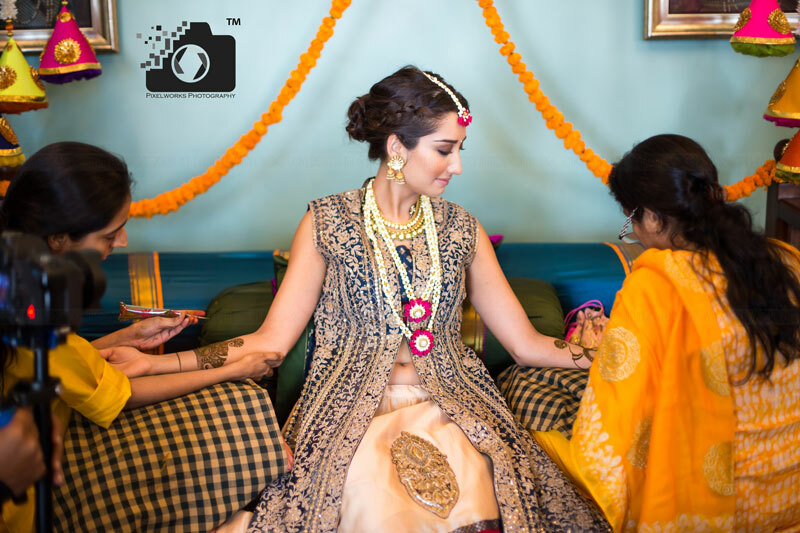 For the details to know more about Pixelworks approach and style of Photography check out Facebook and Instagram. 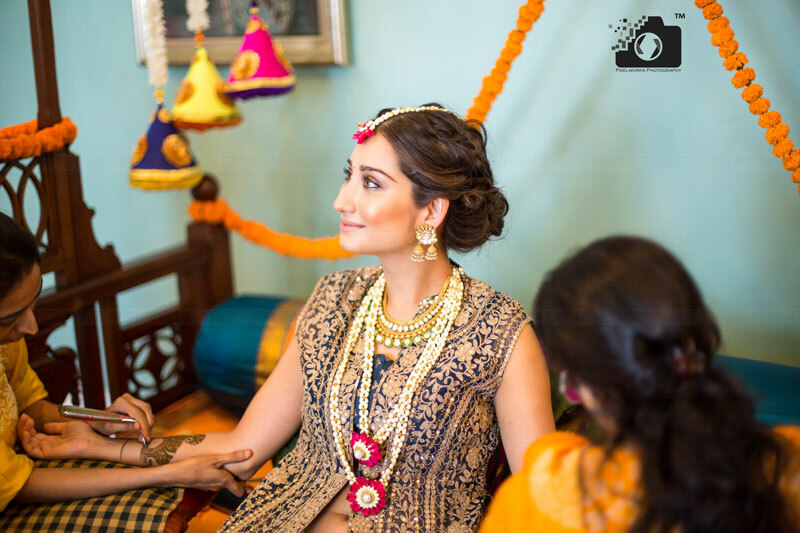 Stay Tuned for more such work !